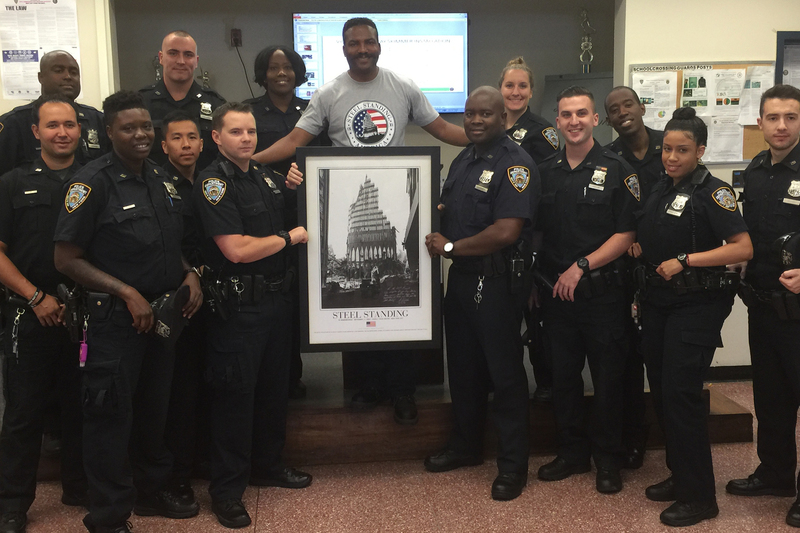 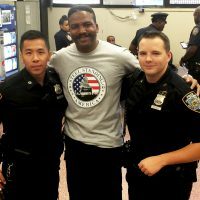 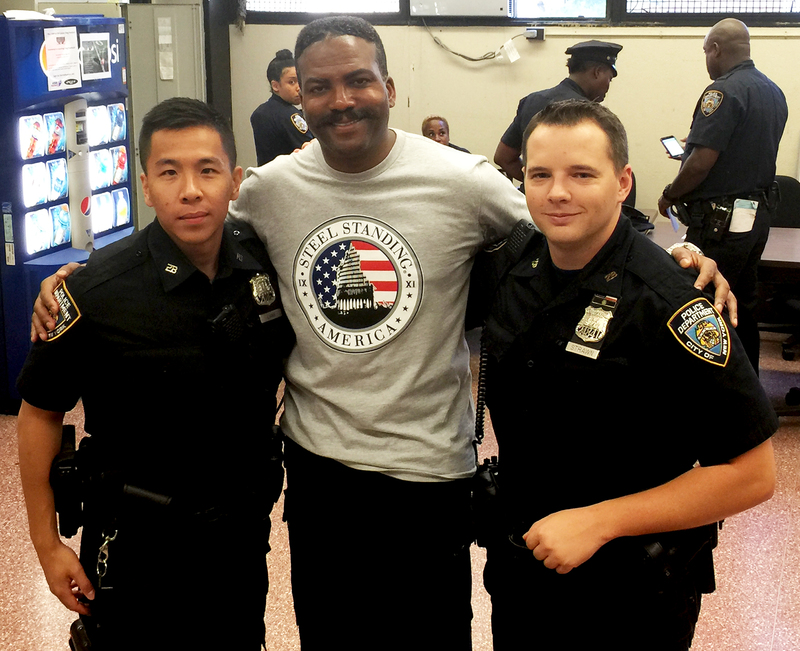 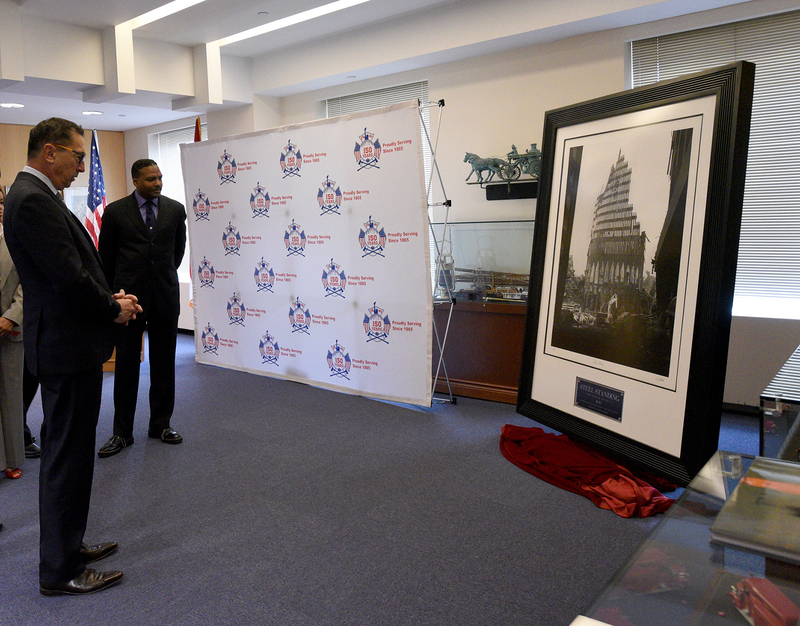 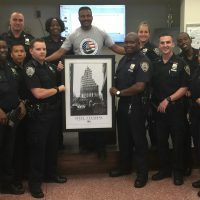 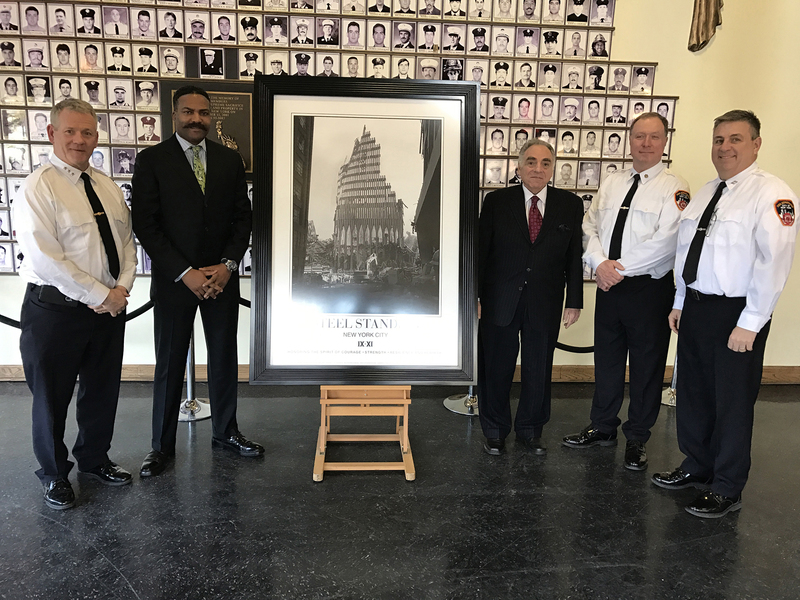 Captured here standing next to the NYPD’s Limited Edition Print of Steel Standing in the Hall of Hero’s at One Police Plaza, from the left, Lt. Kevin Lee, Chief Philip Rivera, Mr. Jeff Heath, and Mr. Heath’s Step Son who was recently promoted to Detective, Detective Timothy Craft. 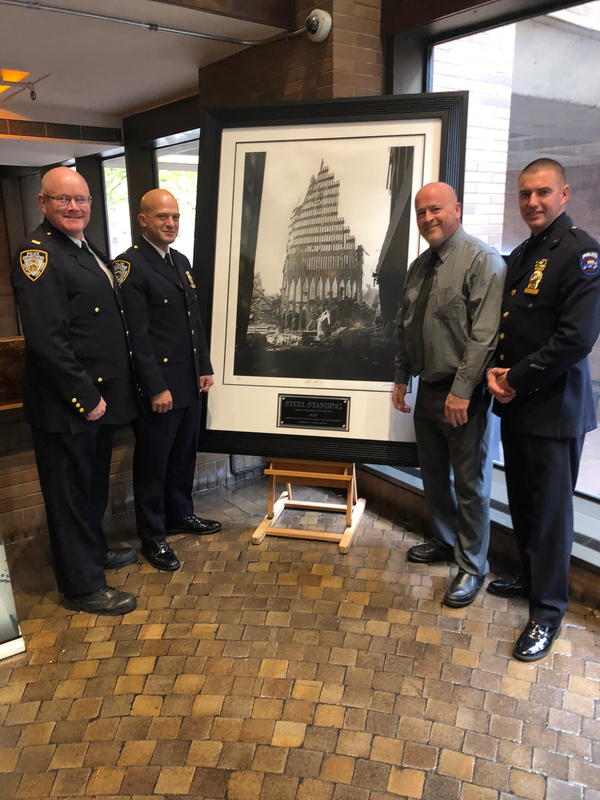 The NYPD’s Steel Standing Limited Edition Print is numbered 23 out of 3000 to honor the 23 of the NYPD that made the ultimate sacrifice on 9/11. 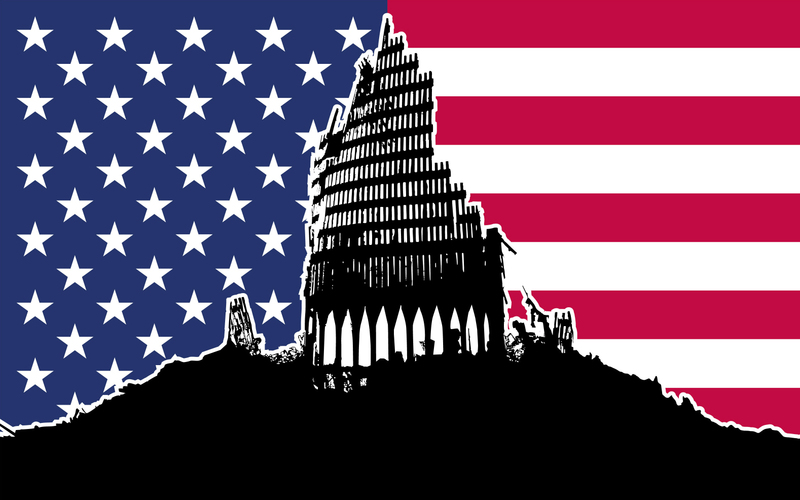 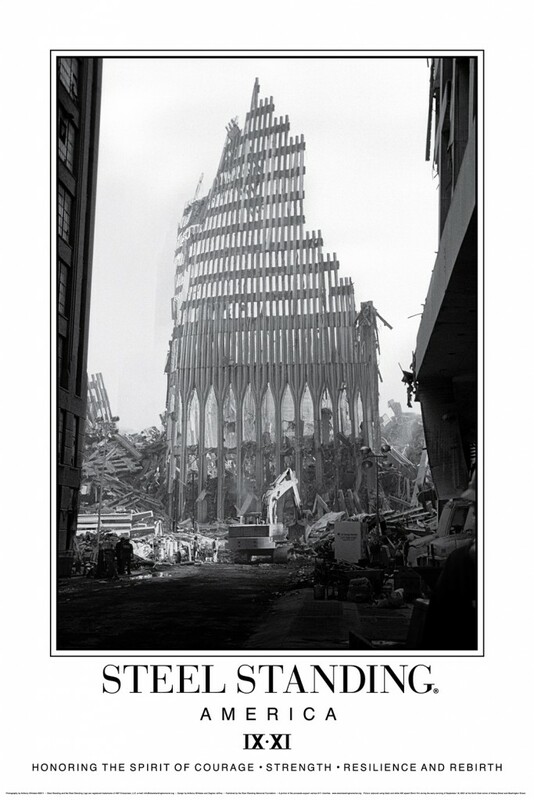 There are 3000 Limited Edition Steel Standing Prints in total to honor and recognize all of the 3000 souls that were lost on September 11, 2001. 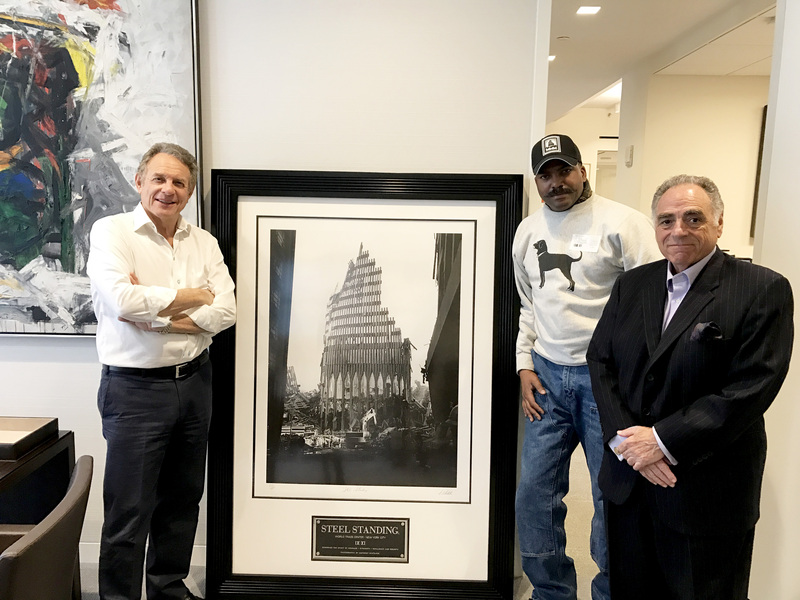 Mr. Jeff Heath standing 3rd from the left, owner of Heath Architectural Woodworking custom mills and fabricates all of the wood frames that display the iconic Steel Standing Photograph. 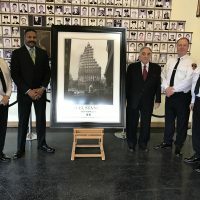 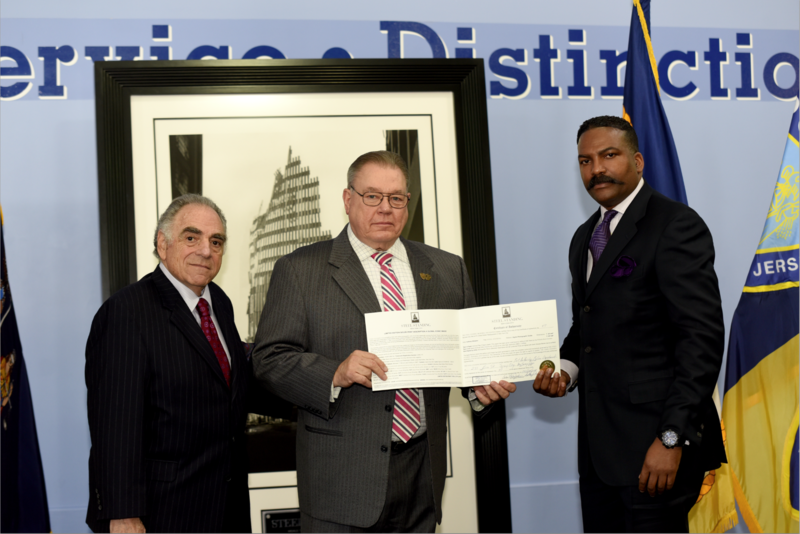 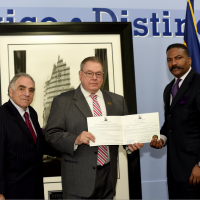 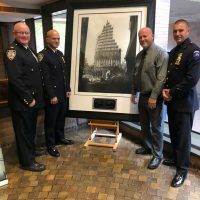 Steel Standing Memorial Foundation Founder Mr.Anthony Whitaker and Steel Standing Memorial Foundation Managing Director Mr.Stephen Gold present The Superintendent of the PAPD Mr.Michael Fedorko the Certificate of Authenticity of the Historical and Iconic Steel Standing Photograph. 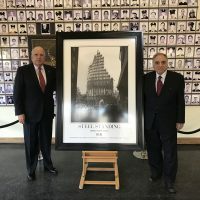 Superintendent Of The PAPD and Director of Public Safety Mr.Michael Fedorko and Steel Standing Memorila Foundation Managing Director Mr.Stephen Gold. 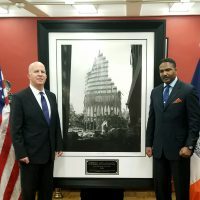 Superintendent Of Police and Director of Public Safety Mr.Michael Fedorko and Steel Standing Memorila Foundation Founder Mr.Anthony Whitaker. 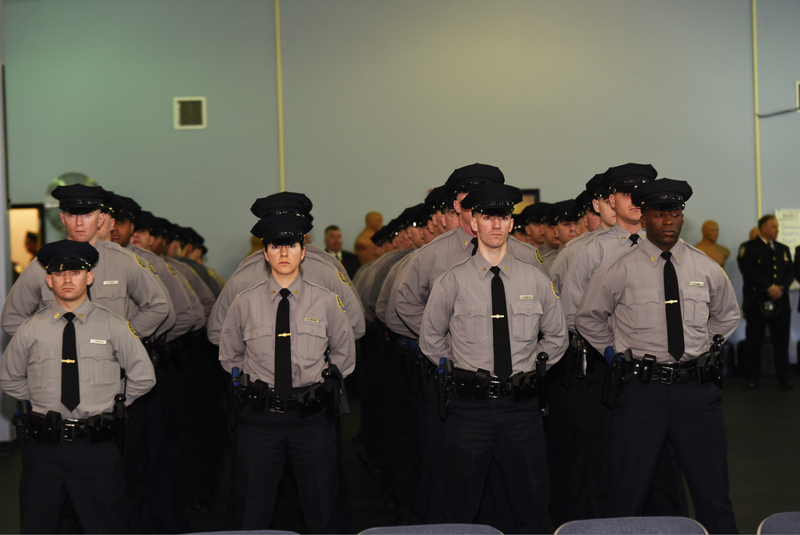 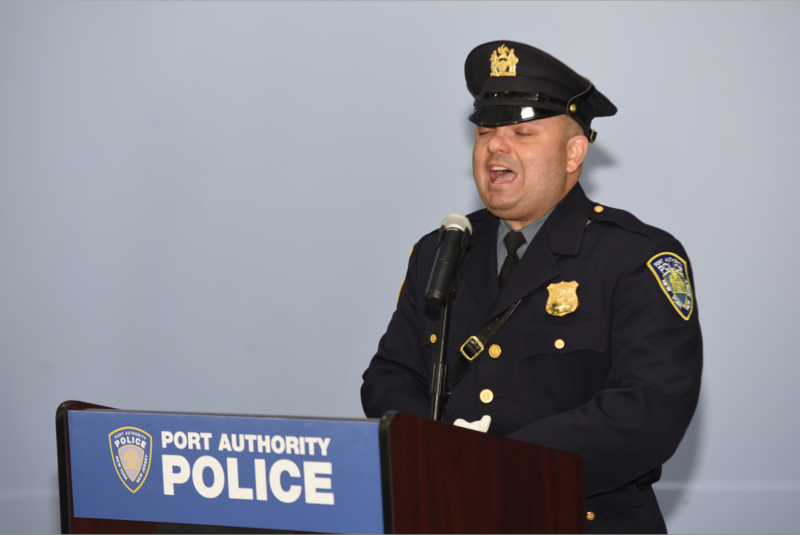 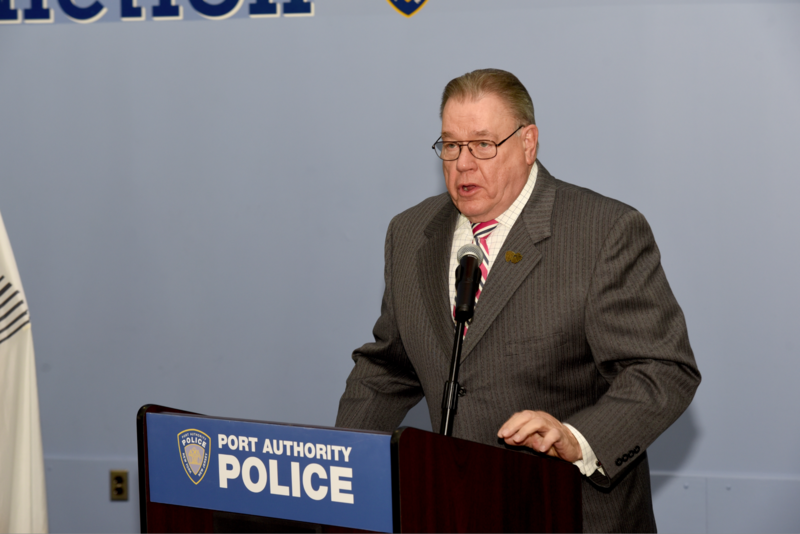 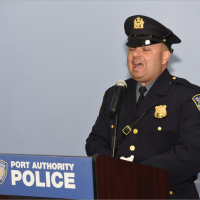 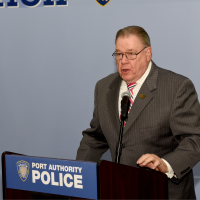 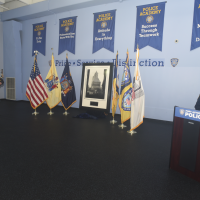 Superintendent of the PAPD Mr. Michael Fedorko speaking at the Official Steel Standing Presentation at PAPD Headquarters. 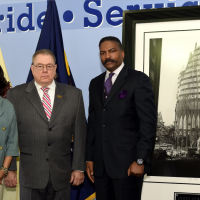 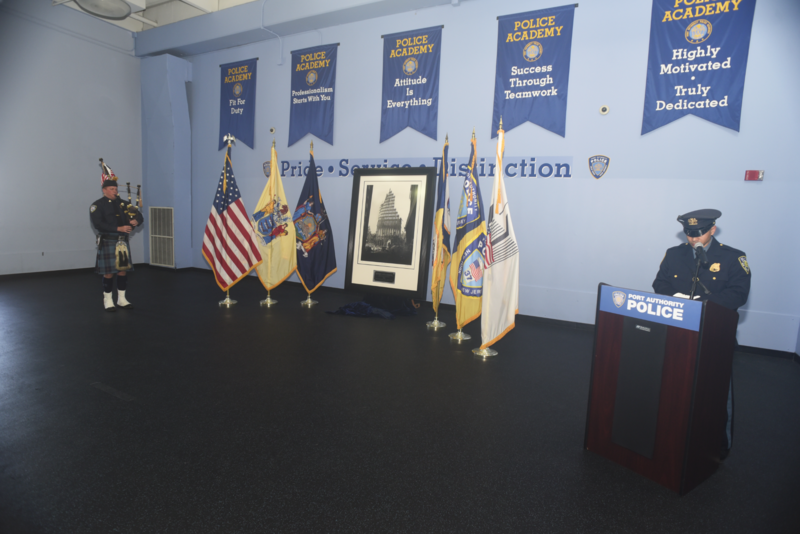 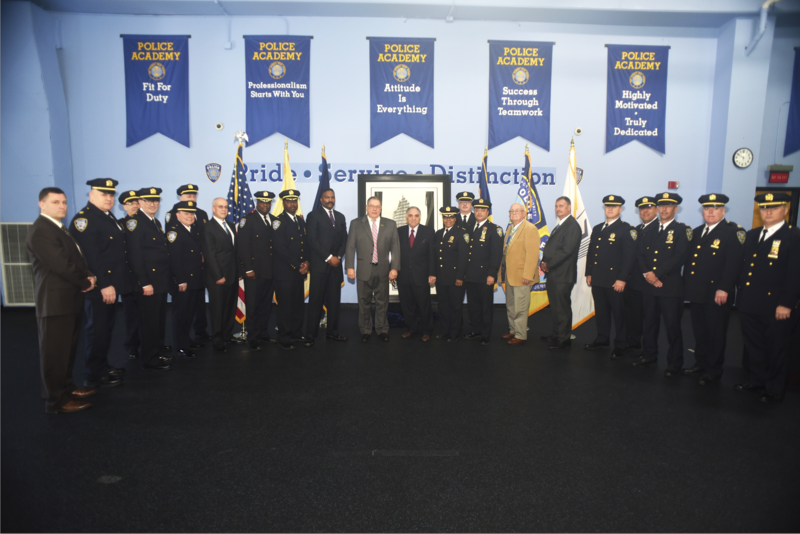 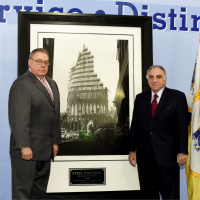 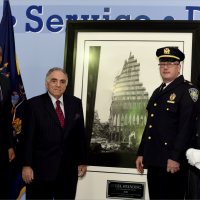 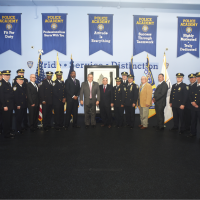 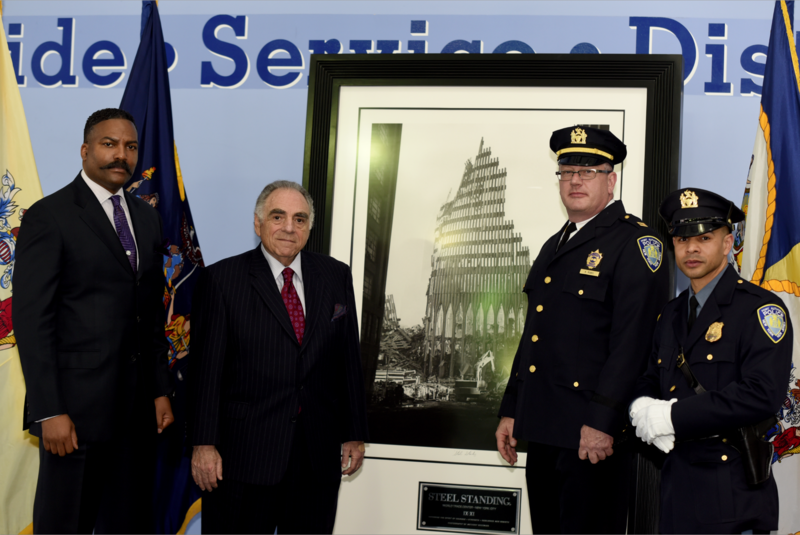 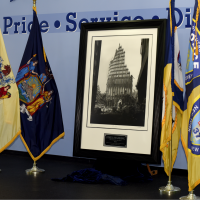 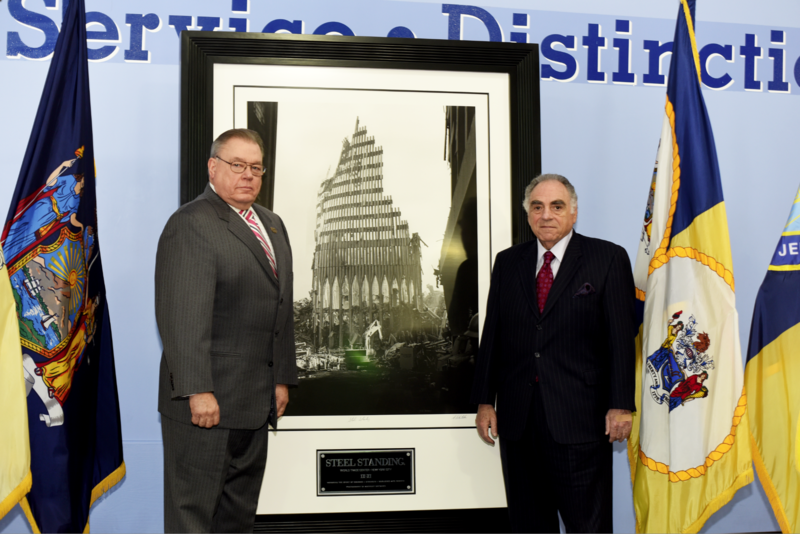 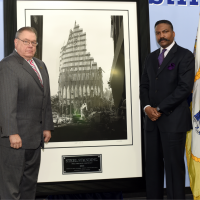 The Historical and Iconic Steel Standing Photograph captured here unveiled during the Official Steel Standing Memorial Presentation at PAPD Headquarters May 1, 2018. 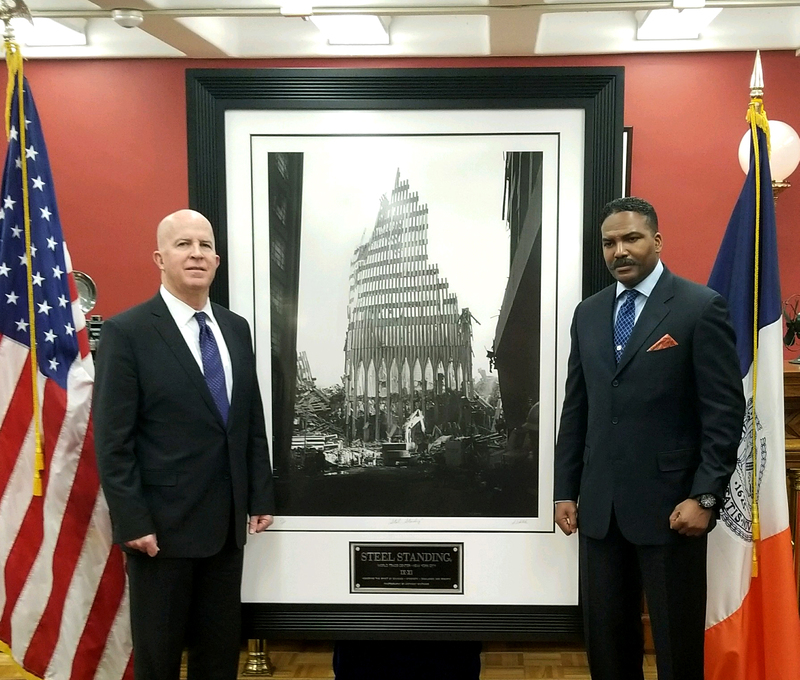 The NYPD Steel Standing Memorial Presentation at NYPD Headquarters within the historic Theodore Roosevelt room which took place January 23, 2018. 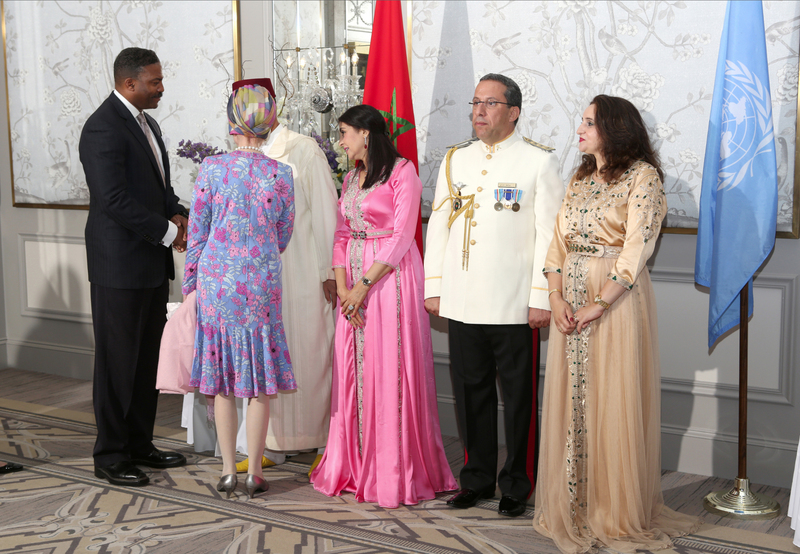 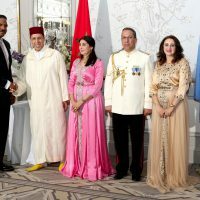 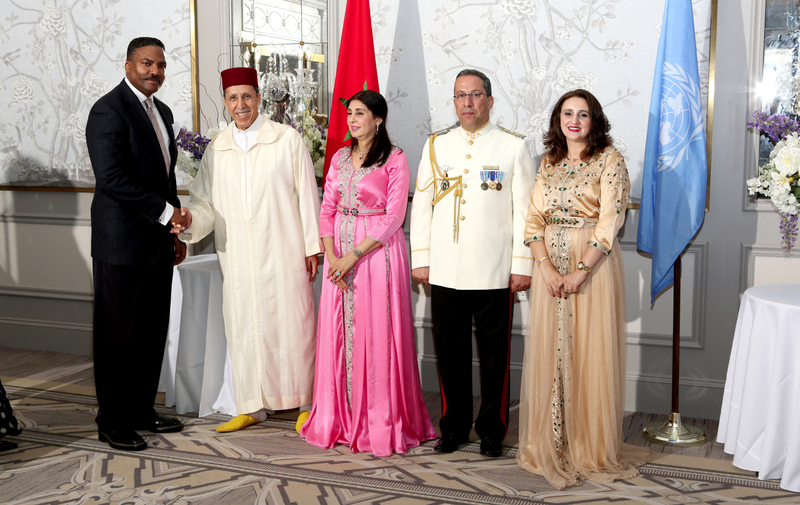 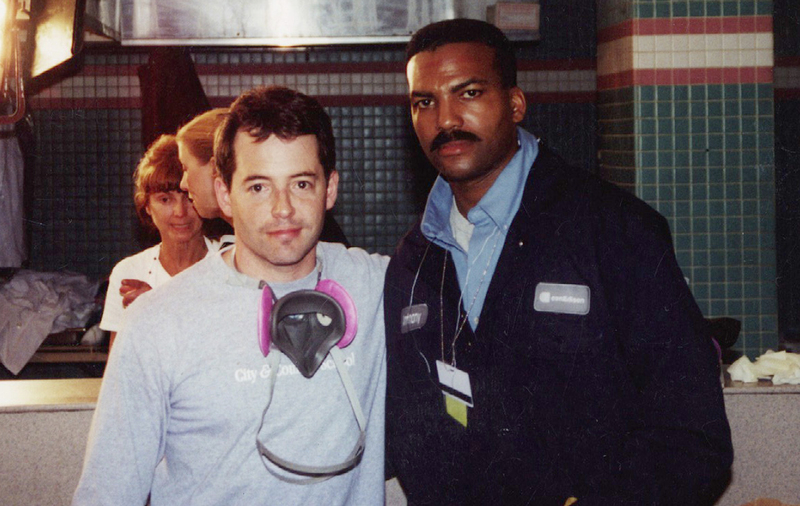 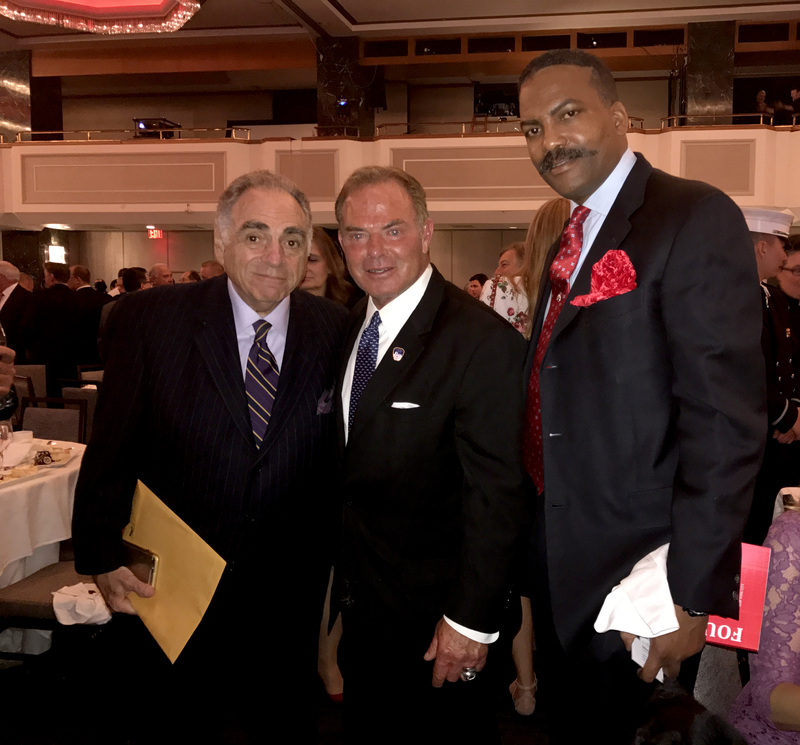 Pictured from left to right, NYC Real Estate Magnate, Mr.Stephen Meringoff. 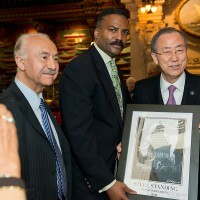 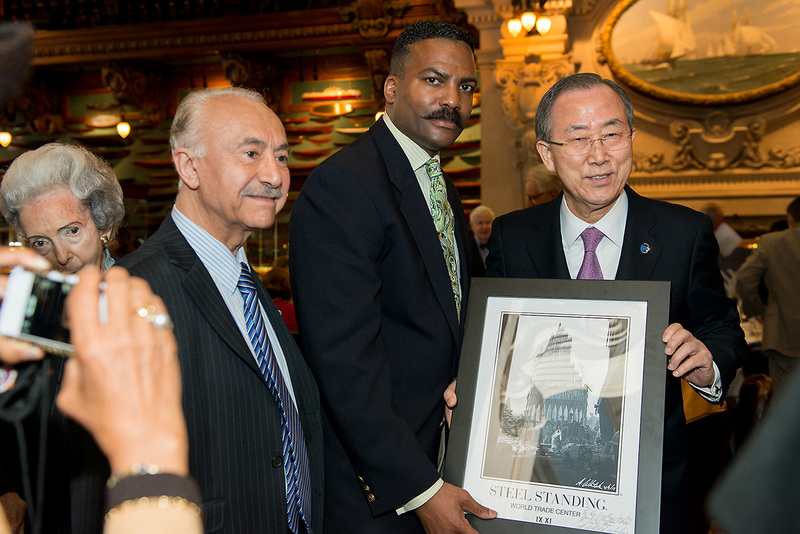 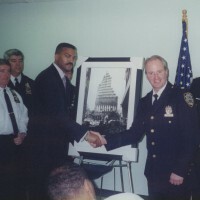 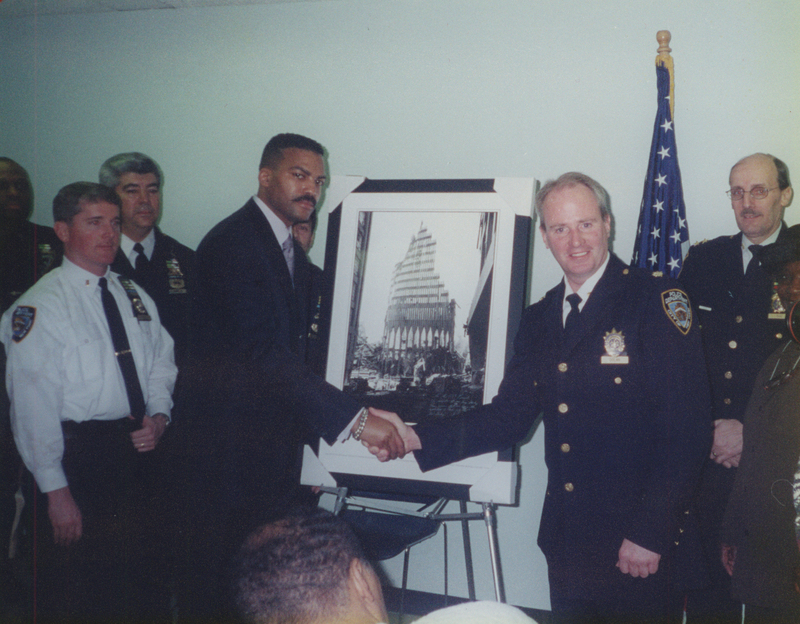 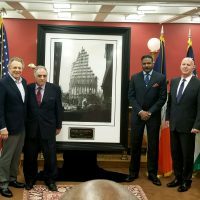 Managing Director of the Steel Standing Memorial Foundation Mr.Steve Gold, Founder of the Steel Standing Memorial Foundation Mr.Antony Whitaker, and NYPD Commissioner Mr.James P. O’Neill. 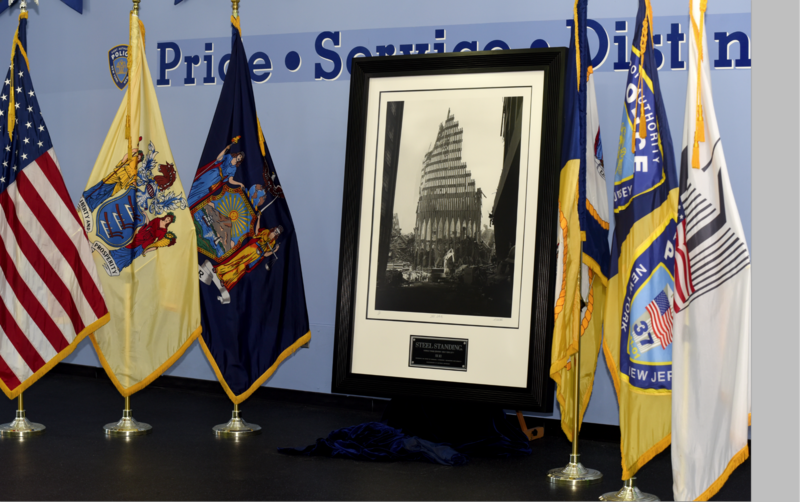 The Official NYPD Steel Standing Memorial Presentation at NYPD Headquarters within the historic Theodore Roosevelt room which took place January 23, 2018. 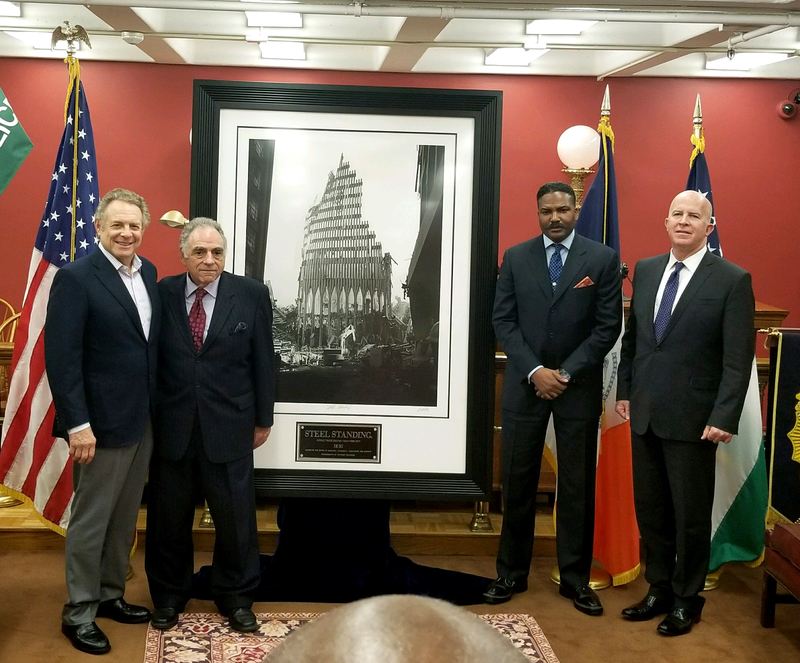 Pictured from left to right, NYPD Commissioner Mr.James P. O’Neill, Managing Director of the Steel Standing Memorial Foundation Mr.Steve Gold, Steel Standing Memorial Foundation Mr.Antony Whitaker, and NYC Real Estate Magnate, Mr.Stephen Meringoff. 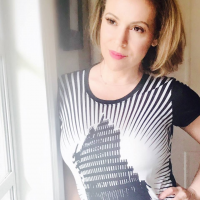 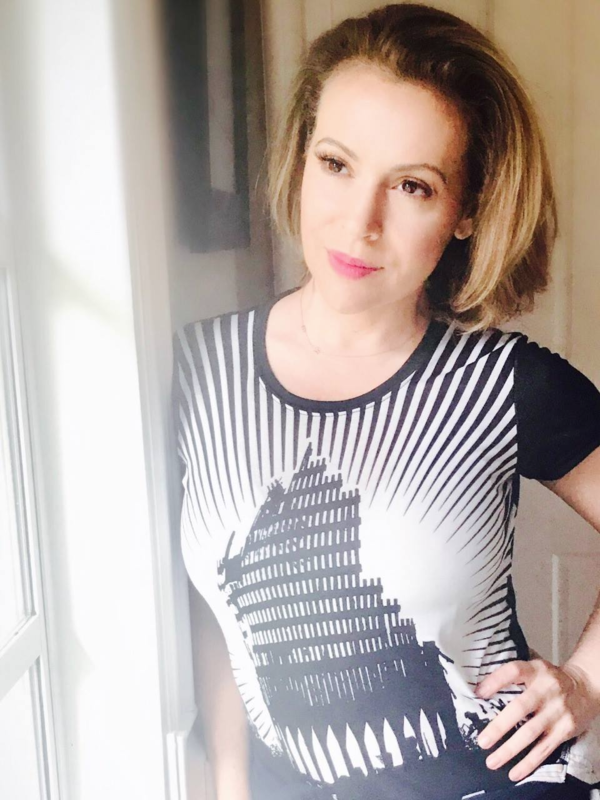 Award Winning Actress Alyssa Milano wearing the “I AM STEEL STANDING” full front panel tee. 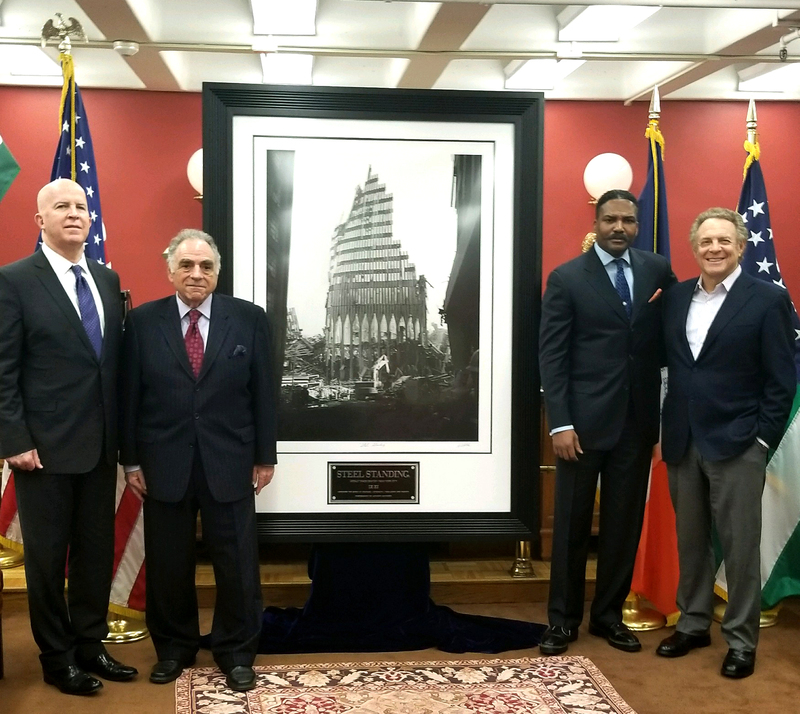 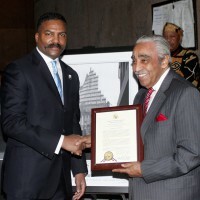 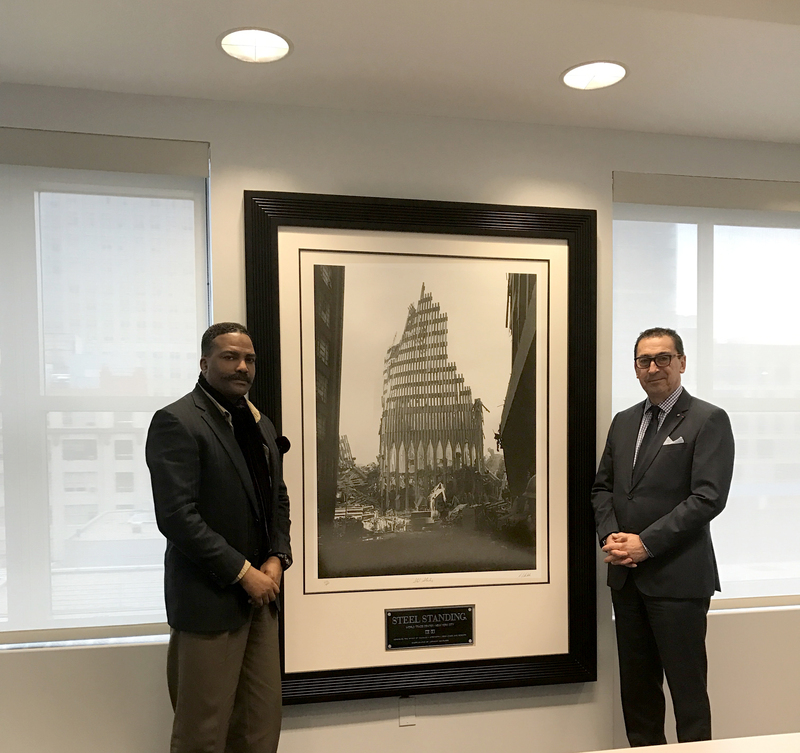 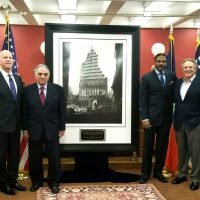 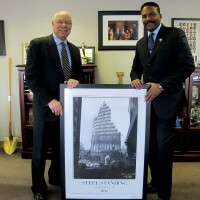 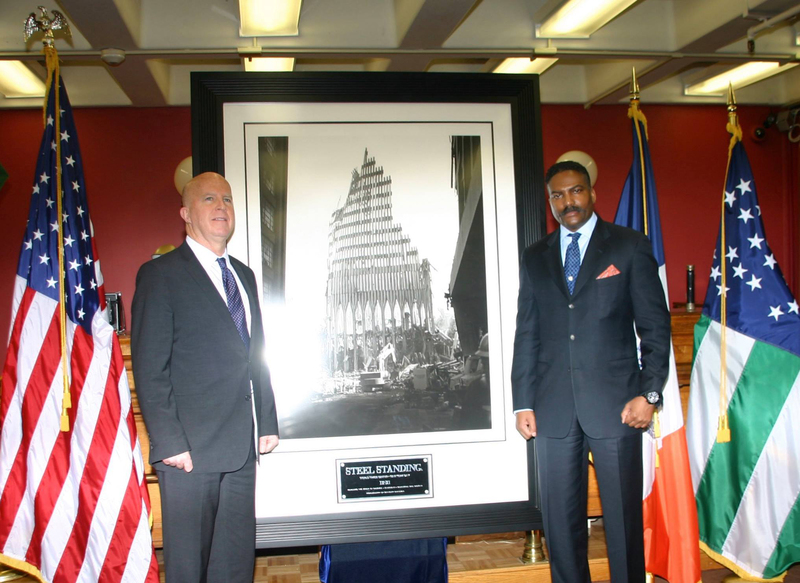 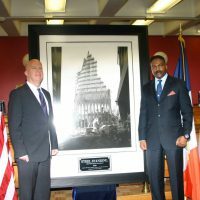 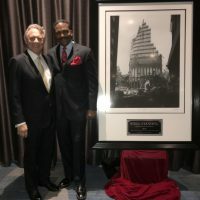 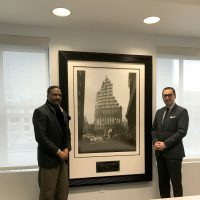 Mr.Stephen Meringoff, Managing Partner of Himmel + Meringoff Properties, Inc. Mr.Anthony Whitaker, Founder of the Steel Standing Memorial Foundation, and Mr.Stephen Gold, Managing Director of the Steel Standing Memorial Foundation, pictured standing in Mr.Meringoff’s office next to a custom framed iconic limited edition Steel Standing Print. 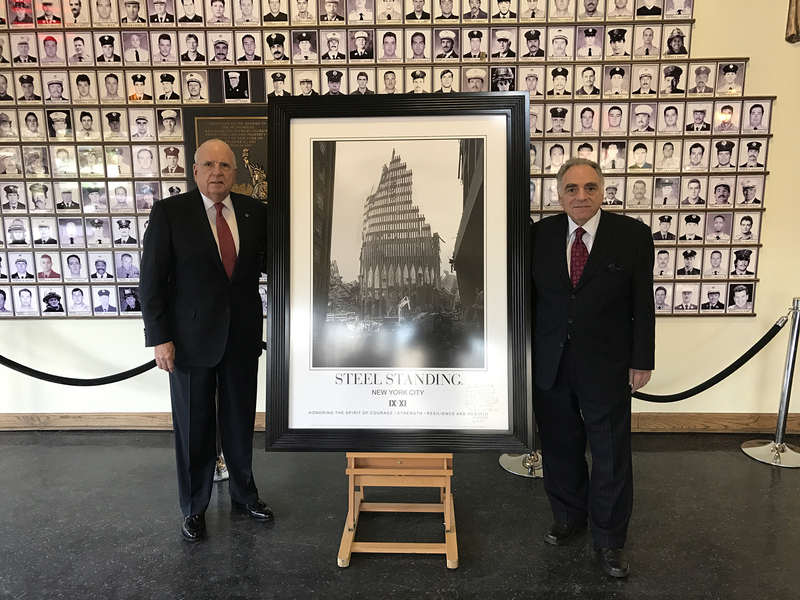 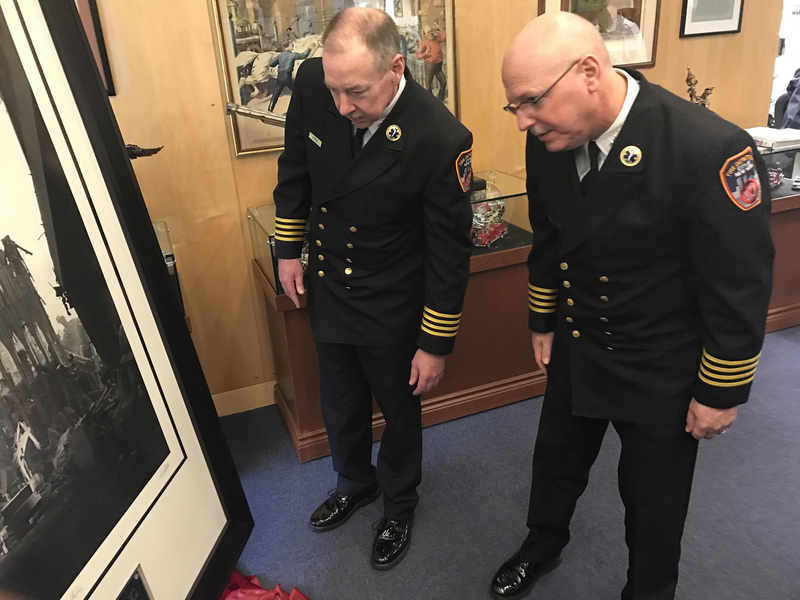 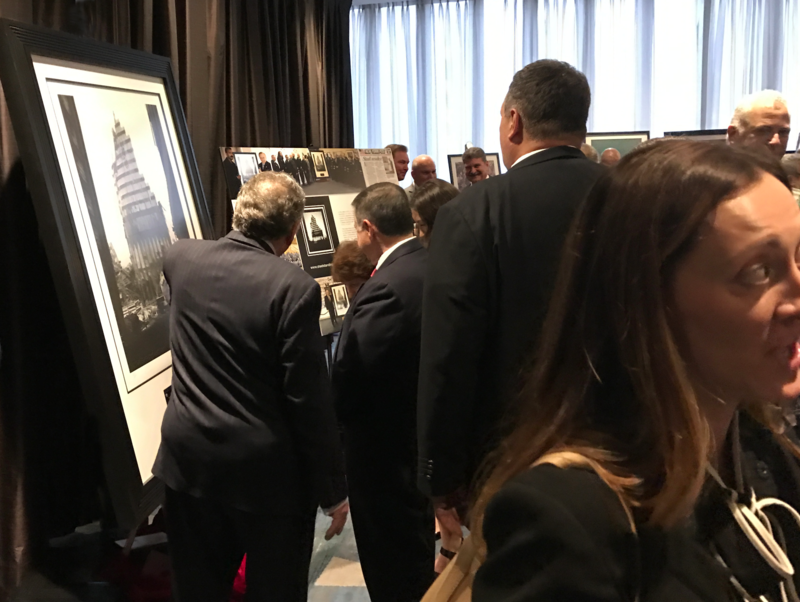 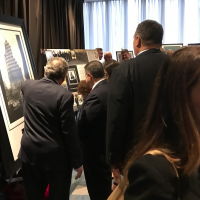 Mr.Stephen Meringoff acquired the iconic limited edition Steel Standing Print at the FDNY Foundation Dinner 05/11/2017. 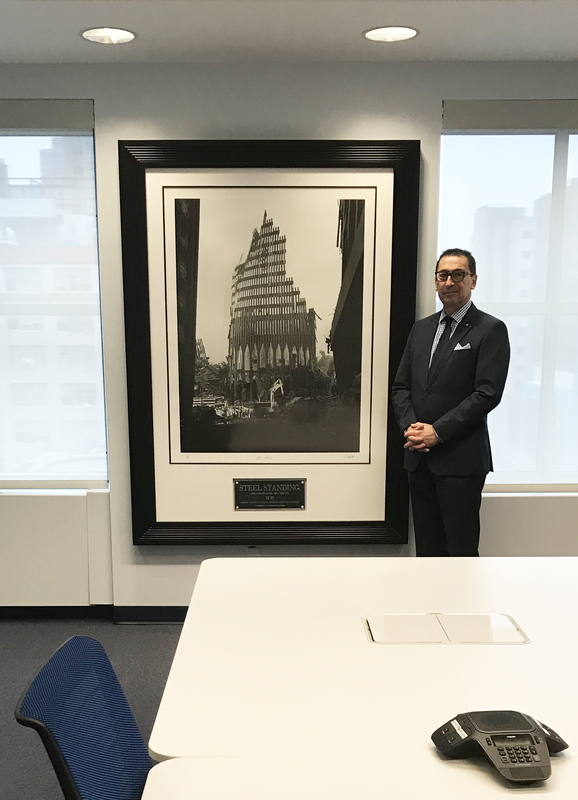 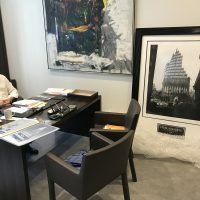 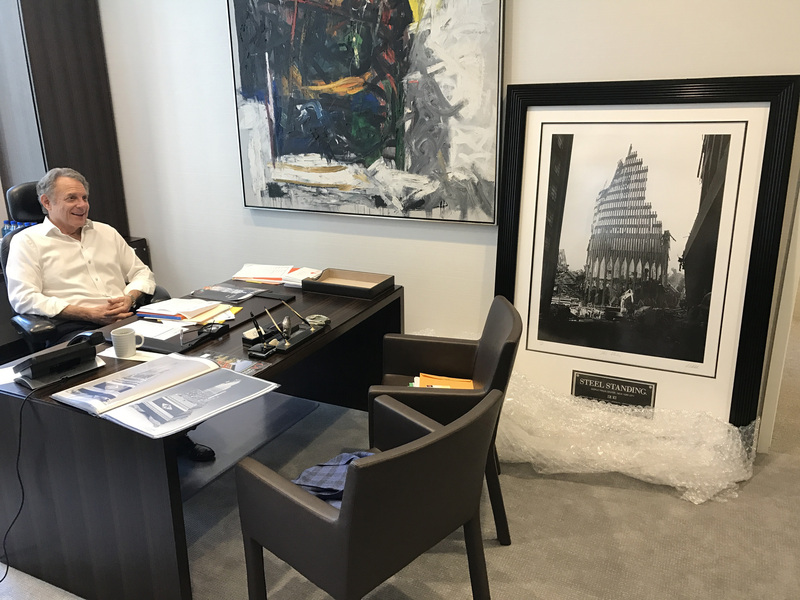 Mr.Stephen Meringoff in his office, with his iconic limited edition Steel Standing Print he acquired at the FDNY Foundation Dinner 05/11/2017. 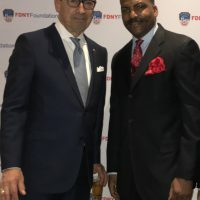 Mr.Stephen Gold, Managing Director of the Steel Standing Memorial Foundation, Mr.Steven Fisher, Chairman and CEO of Fisher Brothers subsidiary Plaza Construction Corporation, and Mr.Anthony Whitaker, Founder of the Steel Standing Memorial Foundation pictured here at the FDNY Foundation Dinner 05/11/2017. 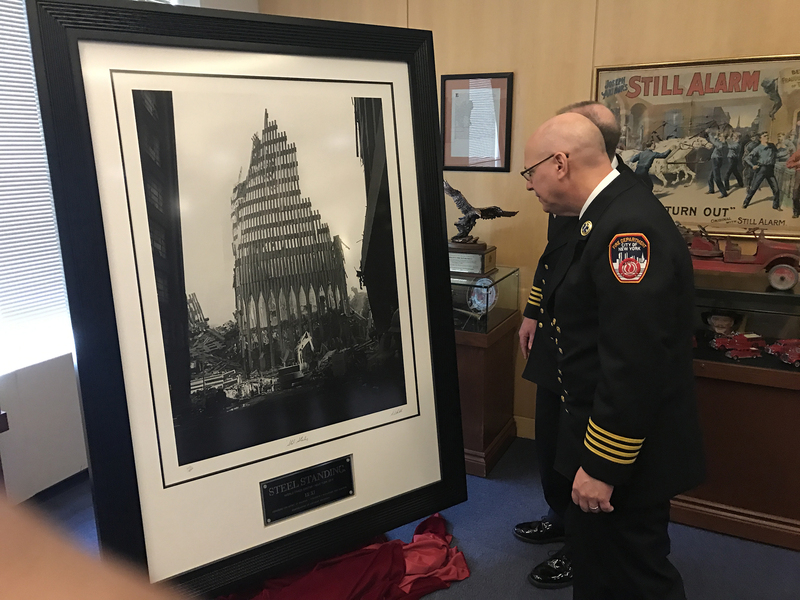 Steel Standing on display at the FDNY Foundation Dinner Auction 05/11/2017. 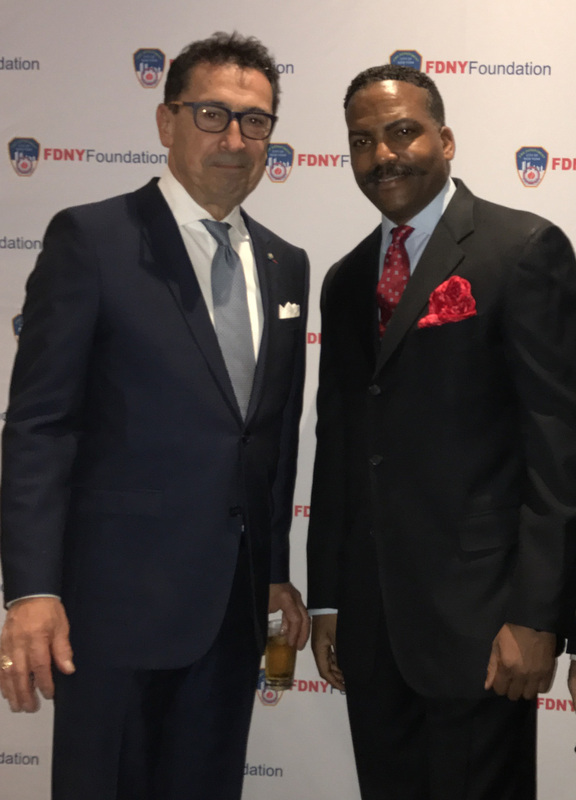 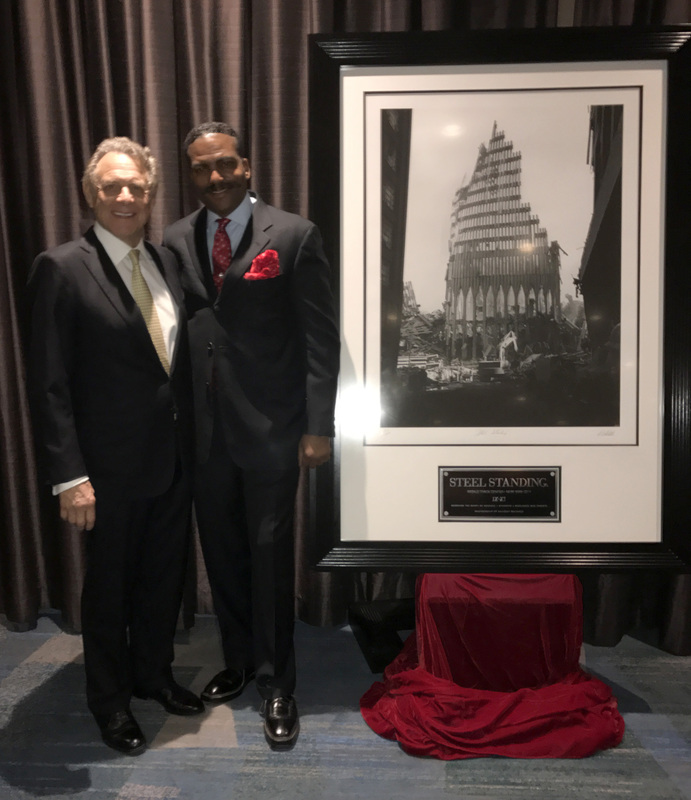 FDNY Commissioner Mr.Daniel A. Nigro, and Steel Standing Memorial Foundtion Founder, Mr.Anthony Whitaker at the FDNY Foundation Dinner 05/11/2017. 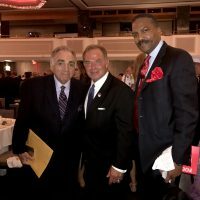 The distinguished Mr. Stephen L. Ruzow, and Mr. Steve Gold, Chairman of the F.D.N.Y. 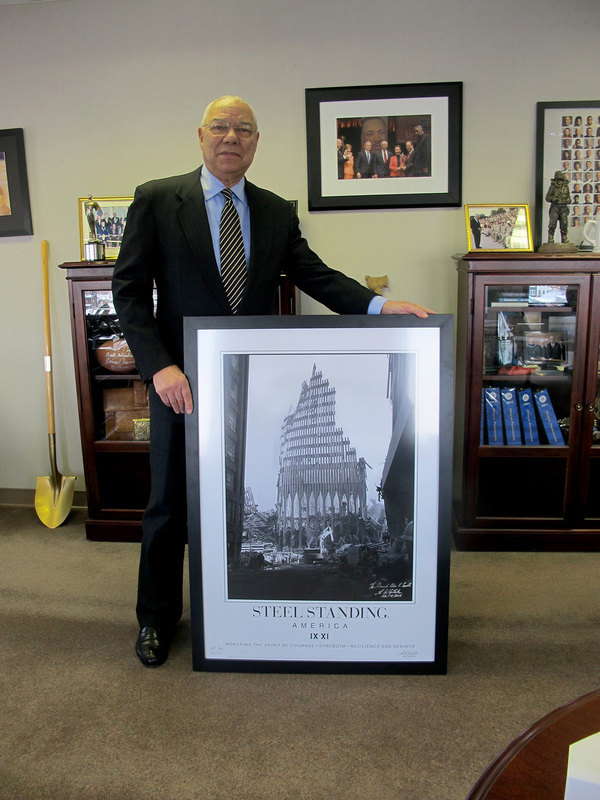 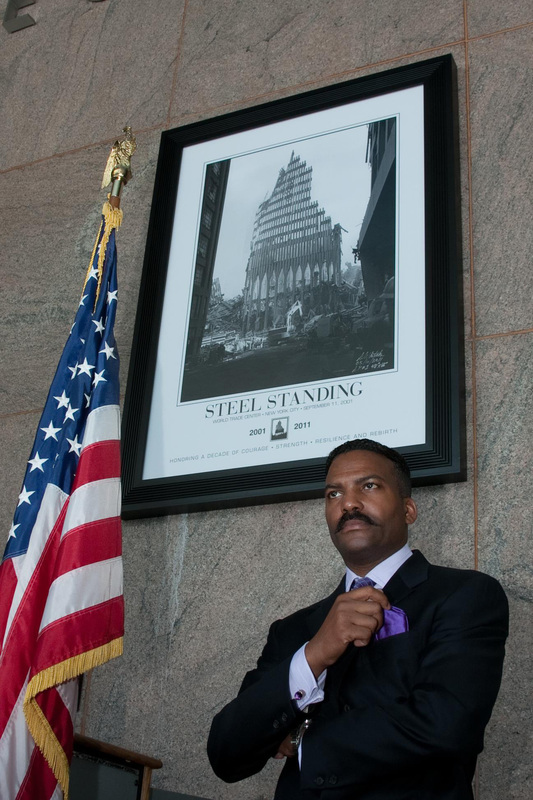 Foundation and Managing Director of the Steel Standing Memorial Foundation respectively, captured here next to a gifted Steel Standing custom framed print to the F.D.N.Y. 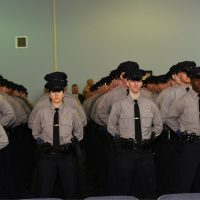 Training Academy. 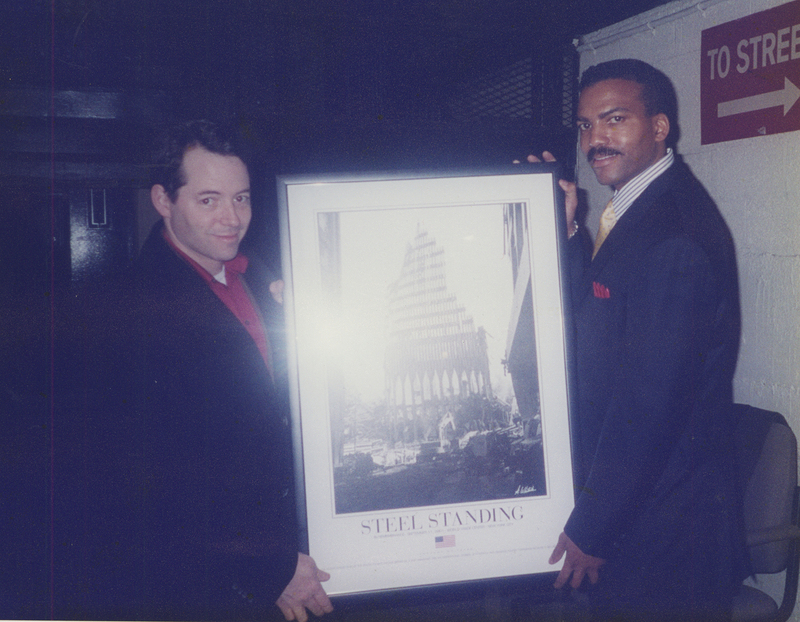 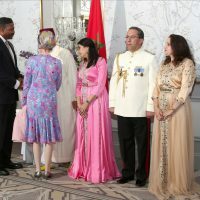 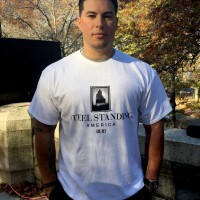 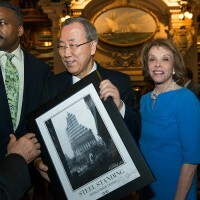 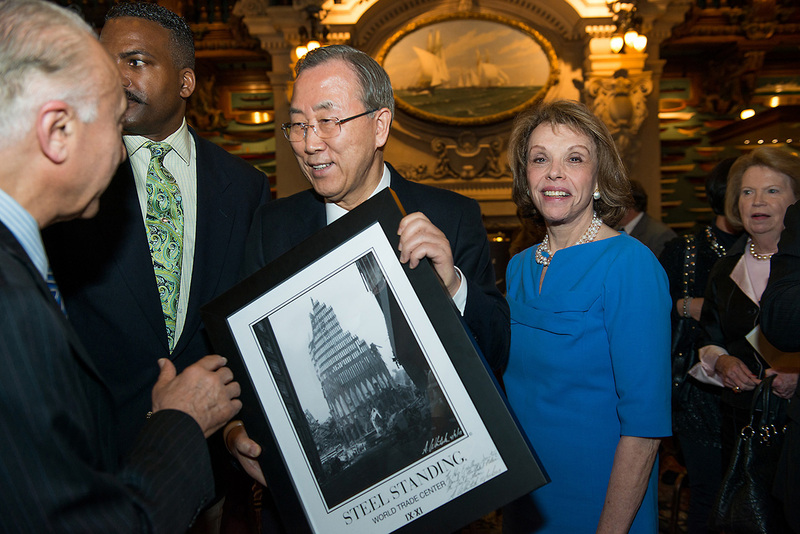 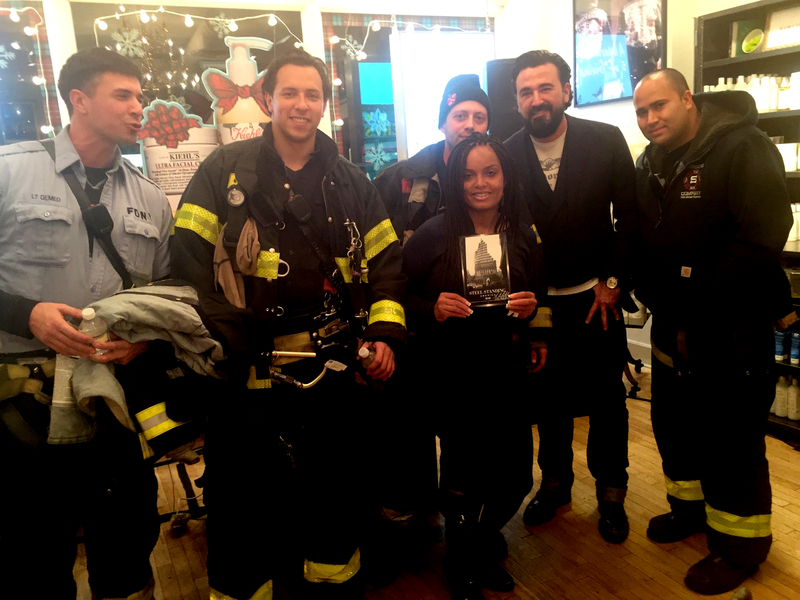 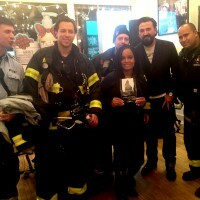 The Official STEEL STANDING presentation at the F.D.N.Y. 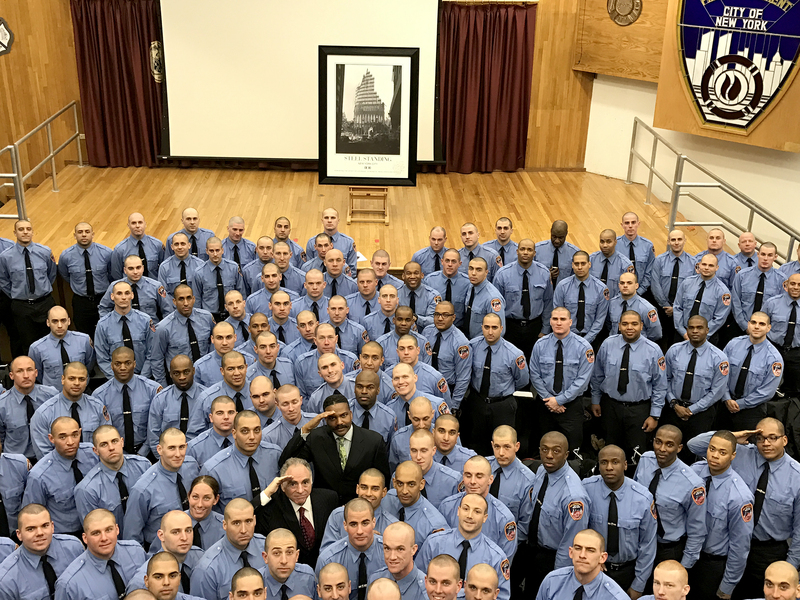 Training Academy. 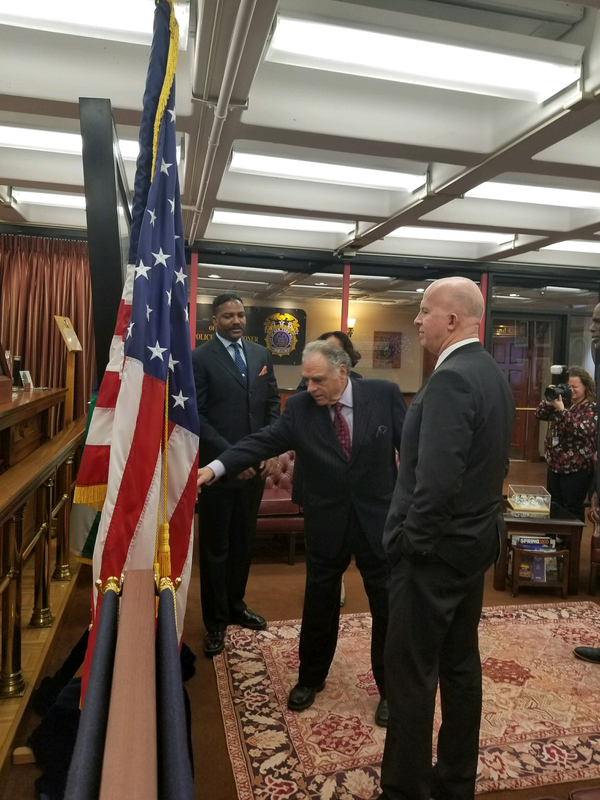 02/16/2017 Pictured here from the left. 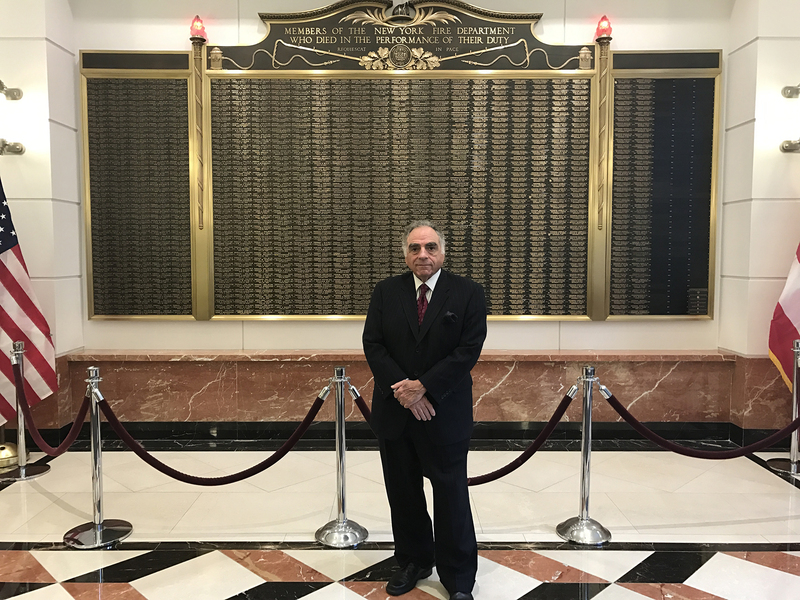 Mr.Stephen L. Ruzow, Chairman of The F.D.N.Y. 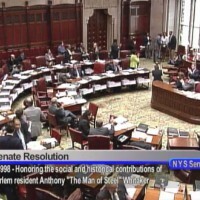 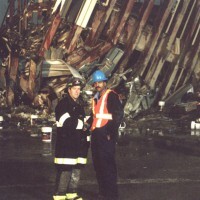 Foundation, F.D.N.Y. 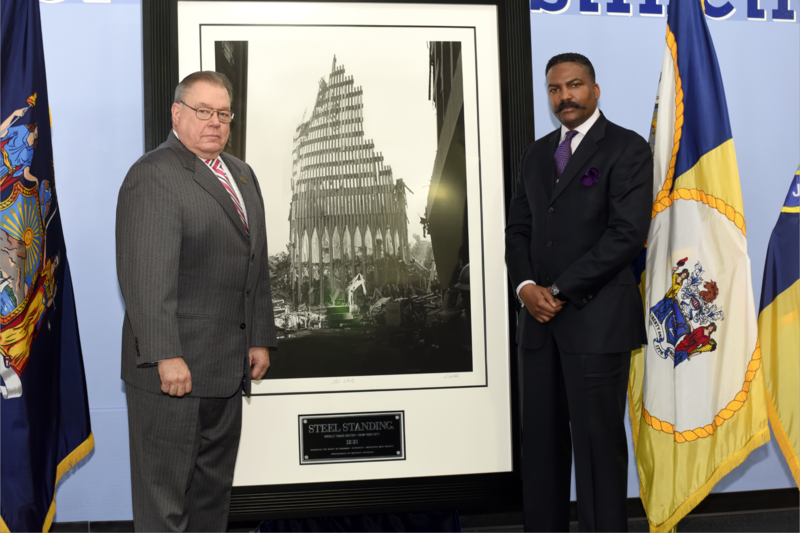 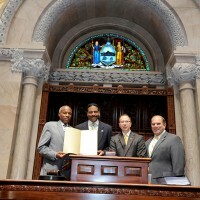 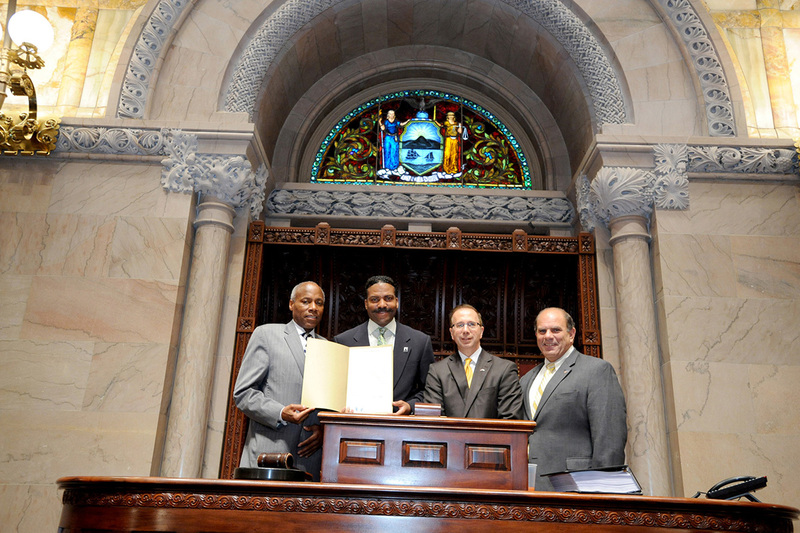 Chief of Training and Assistant Chief, Mr.James Hodgens, Mr.Steve Gold, Managing Director of the Steel Standing Memorial Foundation, F.D.N.Y. 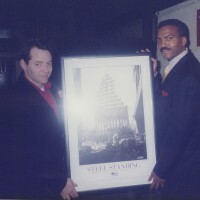 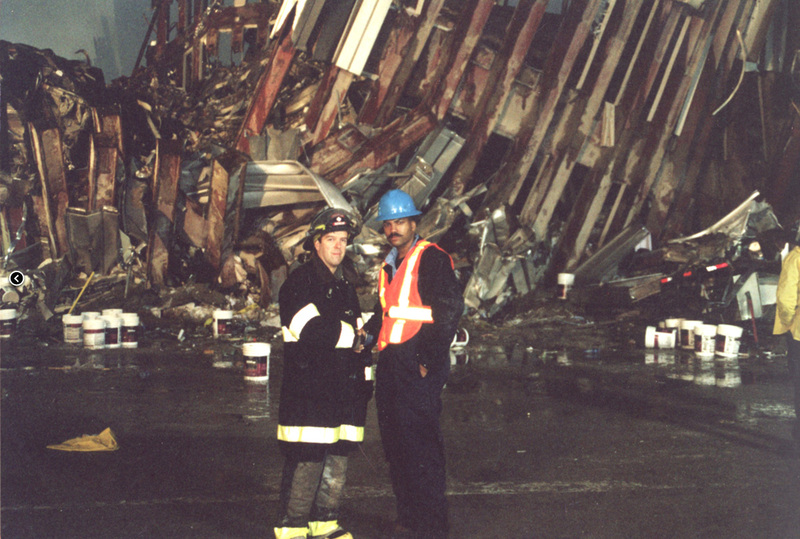 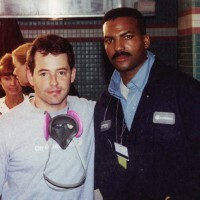 Chief Mr.Tom Robson, and Mr.Anthony Whitaker, Founder of the Steel Standing Memorial Foundation. 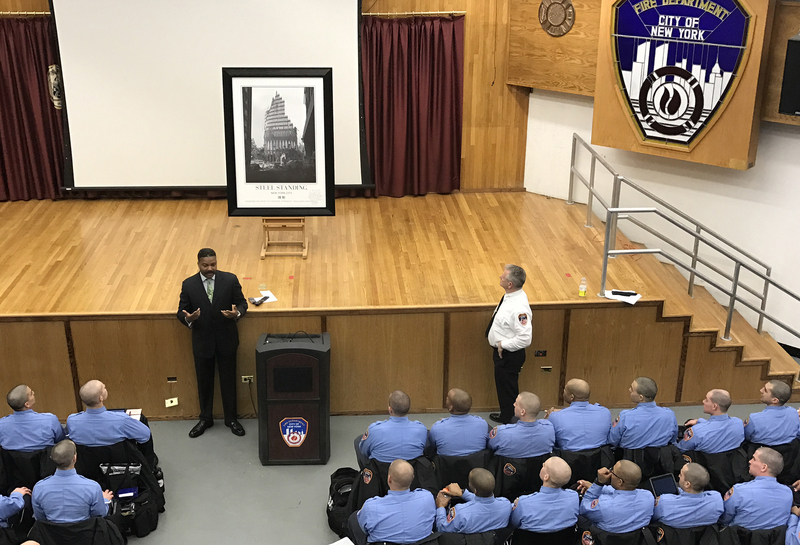 FDNY Presentation at FDNY Headquarters 11/21/2016 @12PM, 9 Metrotech Brooklyn New York. 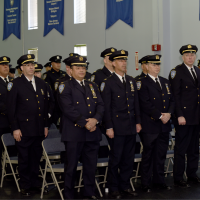 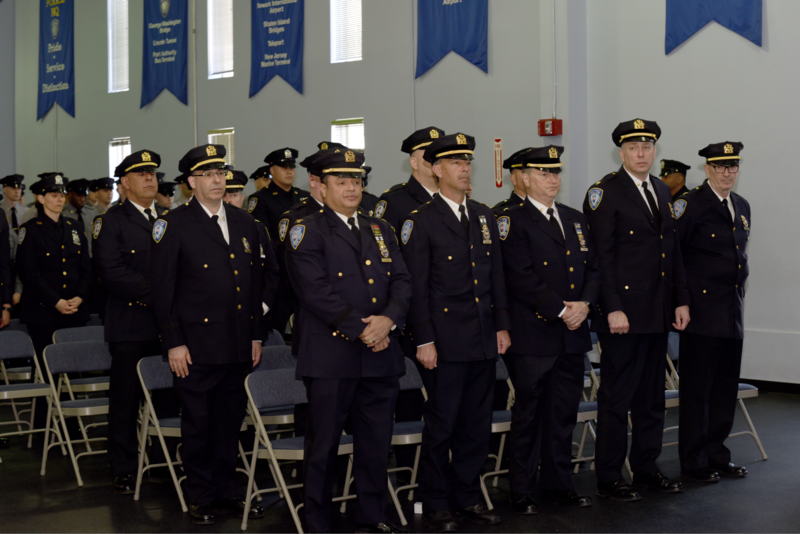 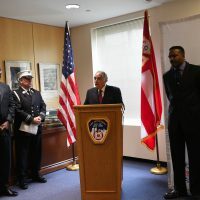 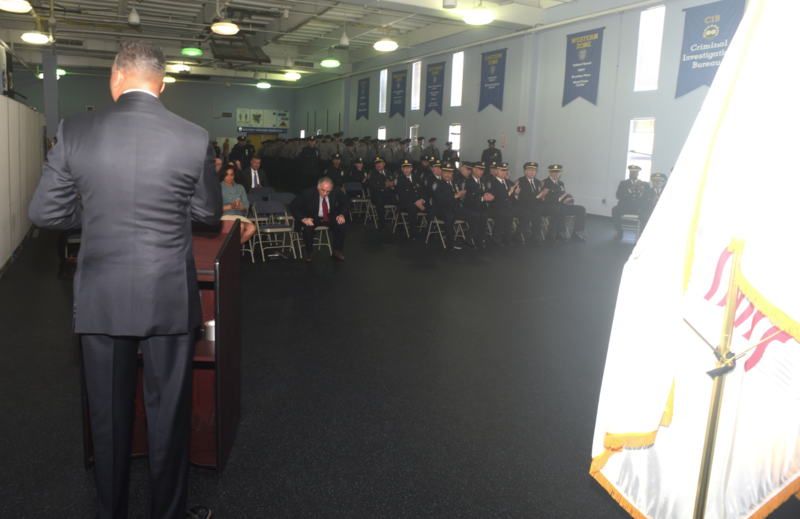 To the right, FDNY Commissioner Mr.Daniel A. Nigro, FDNY Foundation Chairman Mr.Steve Ruzow, FDNY First Deputy Commissioner Mr.Robert Turner, Chief Of Department Mr.James E. Leonard, etc were present. 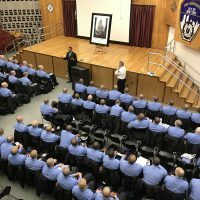 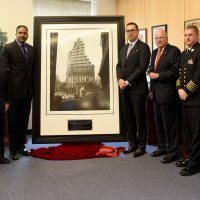 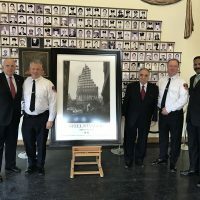 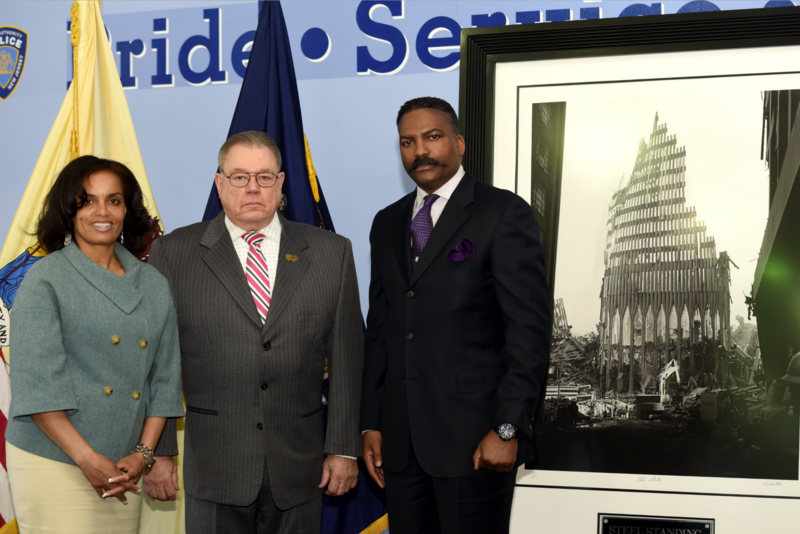 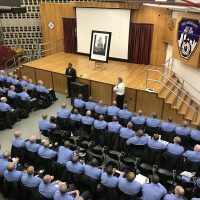 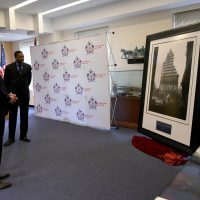 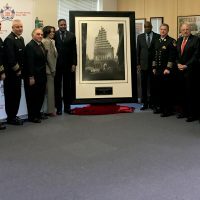 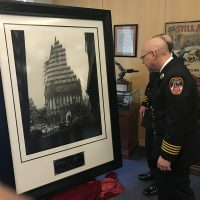 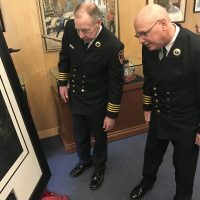 The iconic Steel Standing photograph has been designated to hang permanently in the FDNY Commissioner’s Conference Room directly behind where the F.D.N.Y. 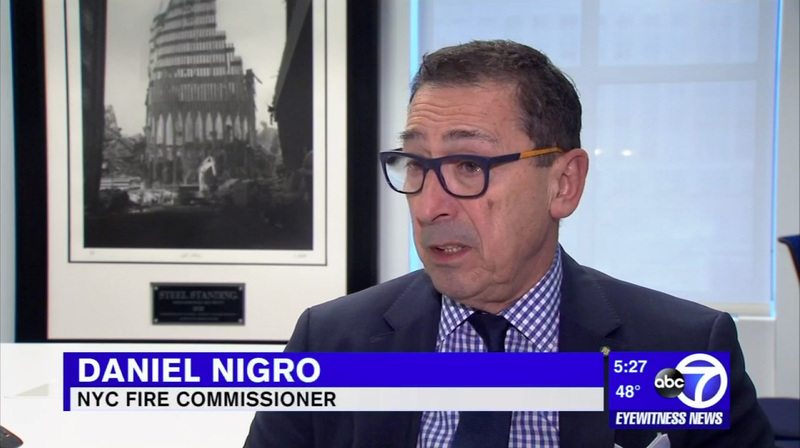 Commissioner sits. 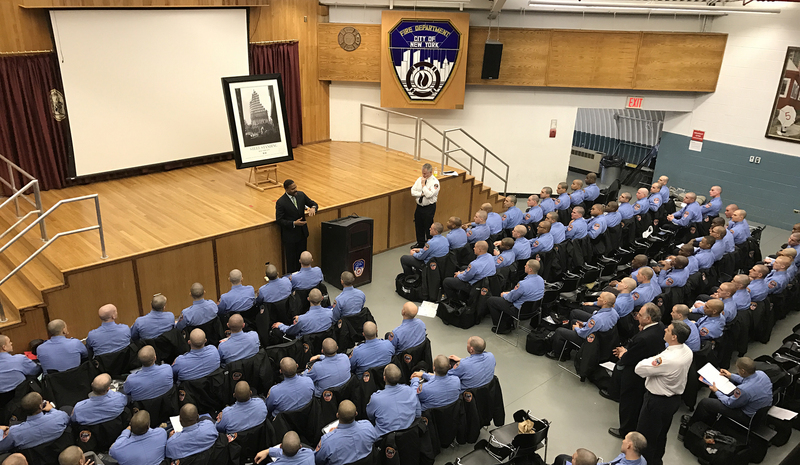 FDNY Presentation at FDNY Headquarters 11/21/2016 @12PM, 9 Metrotech Brooklyn New York. 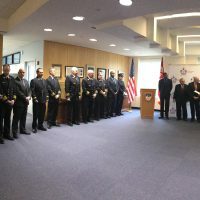 To the right, FDNY Commissioner Mr.Daniel A. Nigro, FDNY Foundation Chairman Mr.Steve Ruzow, FDNY First Deputy Commissioner Mr.Robert Turner, Chief Of Department Mr.James E. Leonard, etc were present. 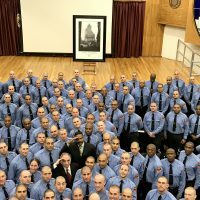 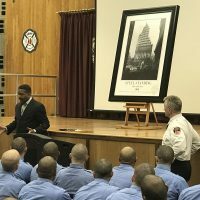 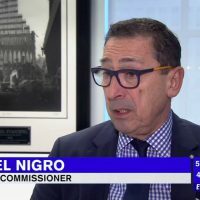 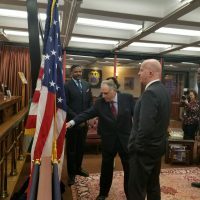 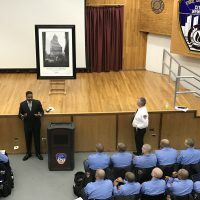 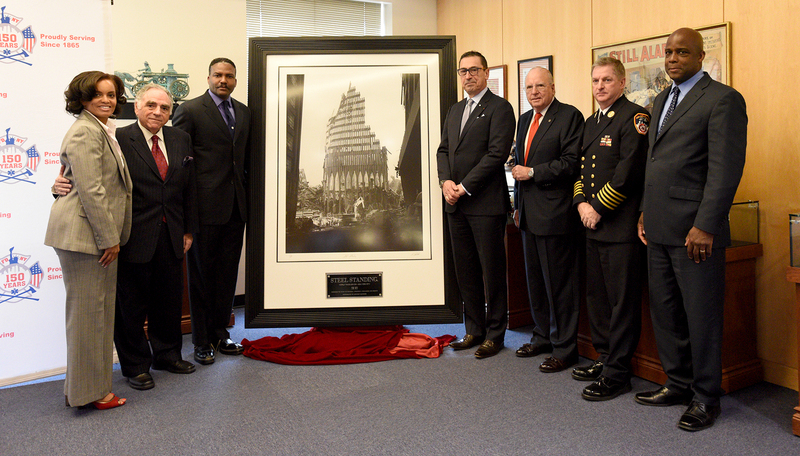 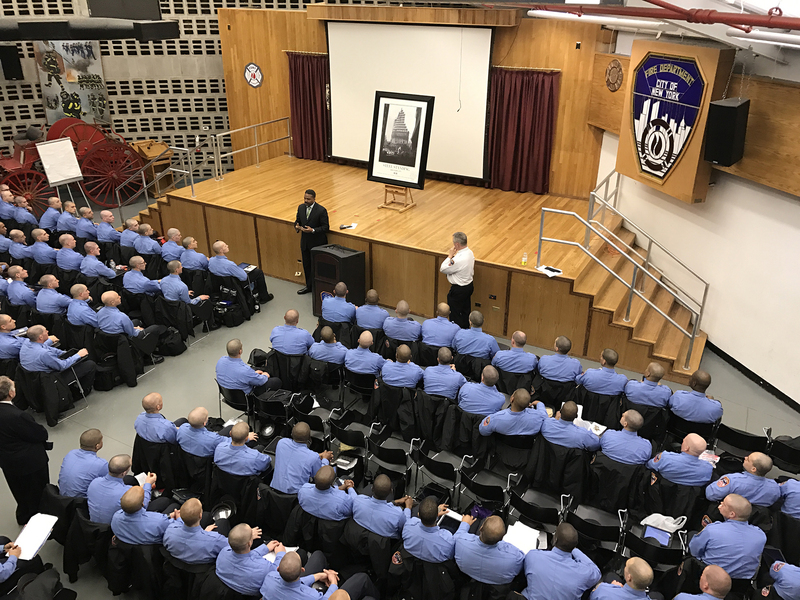 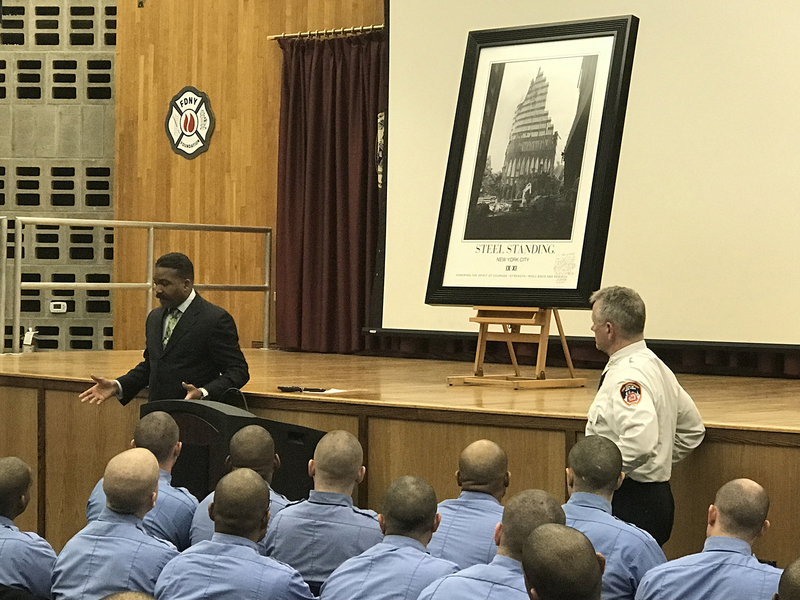 The iconic Steel Standing photograph has been designated to hang permanently in the FDNY Commissioner’s Conference Room directly behind where the Commissioner sits. 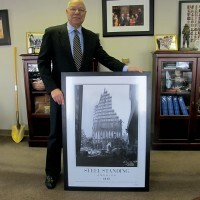 Steve Gold, Managing Director of the STEEL STANDING MEMORIAL FOUNDATION speaking at the official presentation of STEEL STANDING to the F.D.N.Y. 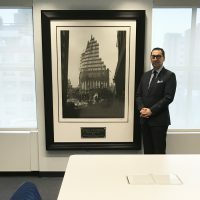 at the F.D.N.Y. 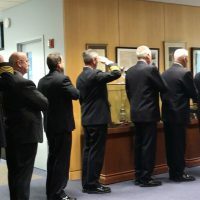 headquarters, which took place November 21, 2016. 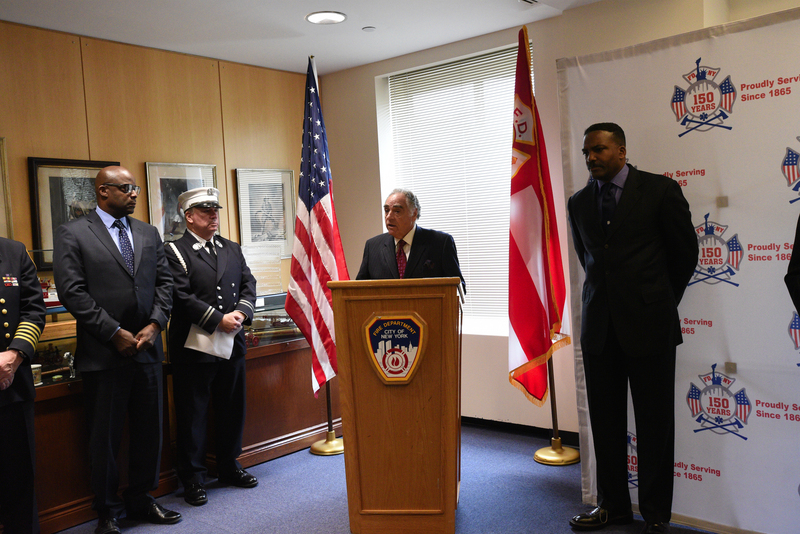 FDNY Presentation at FDNY Headquarters 11/21/2016 @12PM, 9 Metrotech Brooklyn New York. 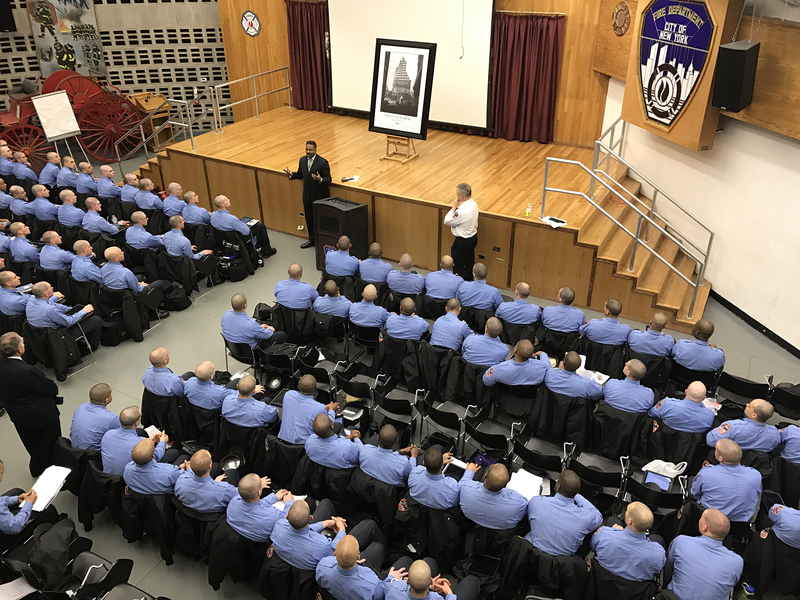 The iconic Steel Standing photograph has been designated to hang permanently in the FDNY Commissioner’s Conference Room directly behind where the Commissioner sits. 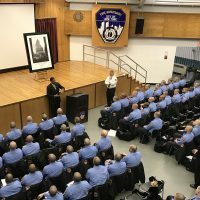 FDNY Presentation at FDNY Headquarters 11/21/2016 @12PM, 9 Metrotech Brooklyn New York. 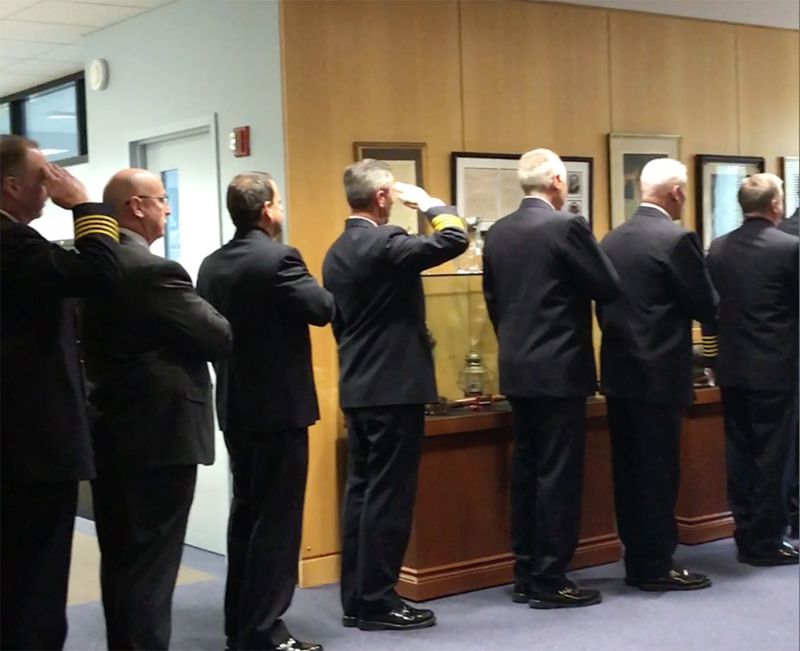 Nattional Athem Salute. 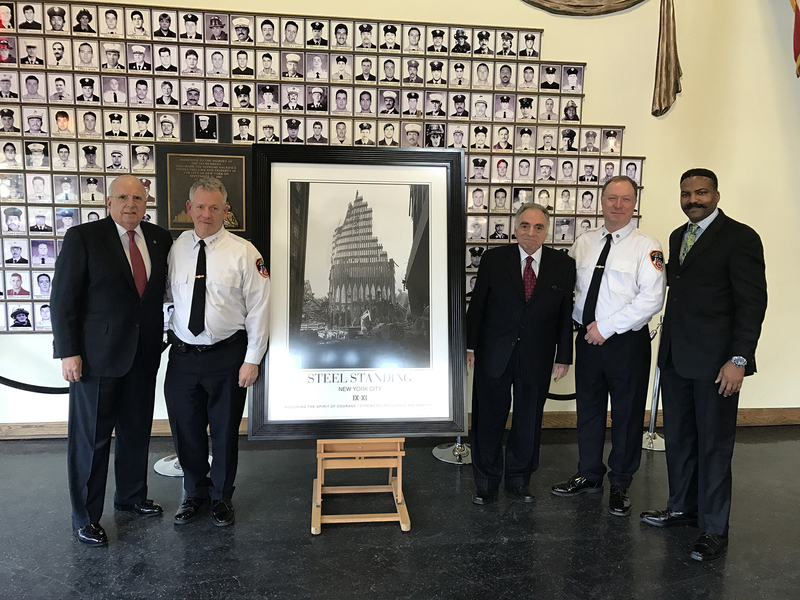 The iconic Steel Standing photograph has been designated to hang permanently in the FDNY Commissioner’s Conference Room directly behind where the Commissioner sits. 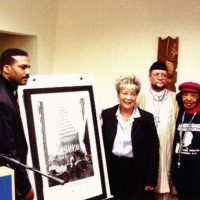 Queens Borough President, Mrs.Helen Marshall was the first African-American to be elected as the President of Queens. 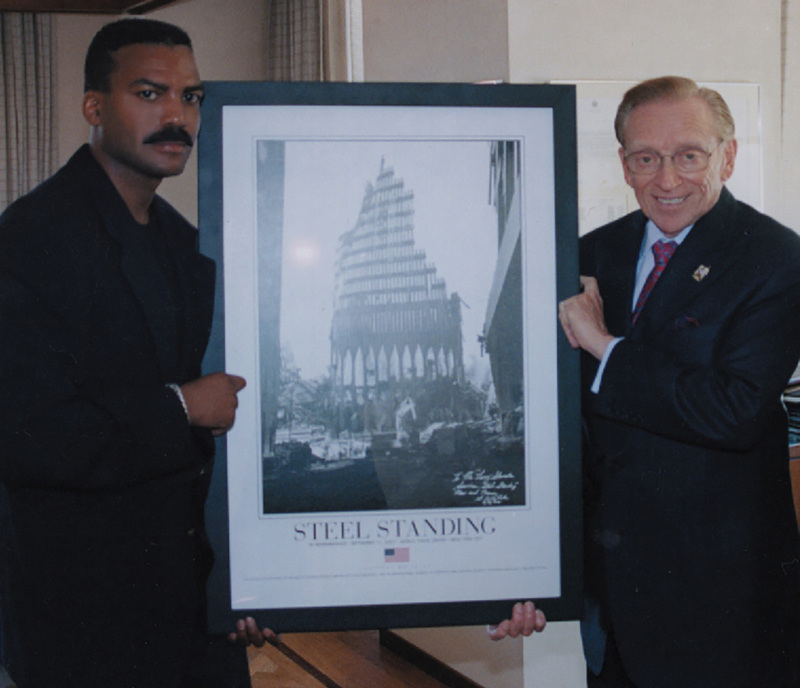 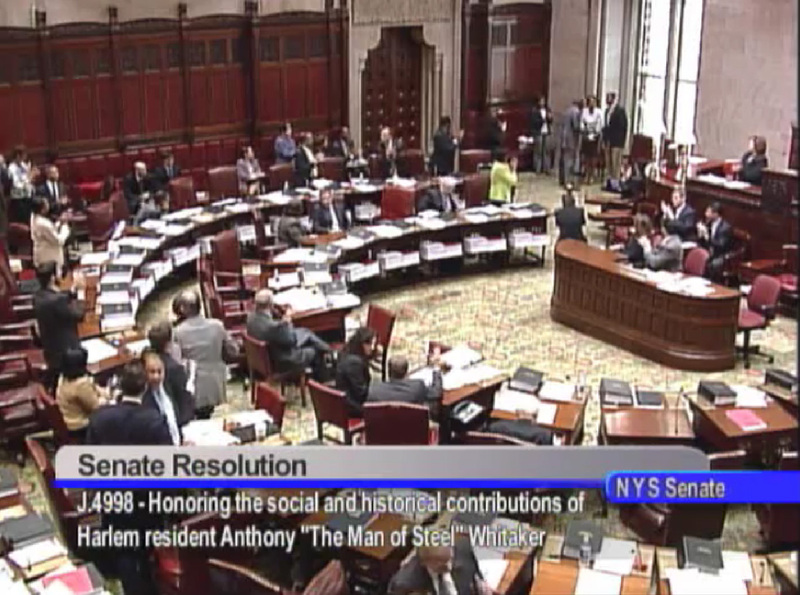 She was the first elected official to be presented with, recognize, and acknowledge the historical, and iconic Steel Standing photograph. 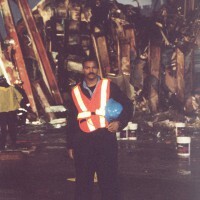 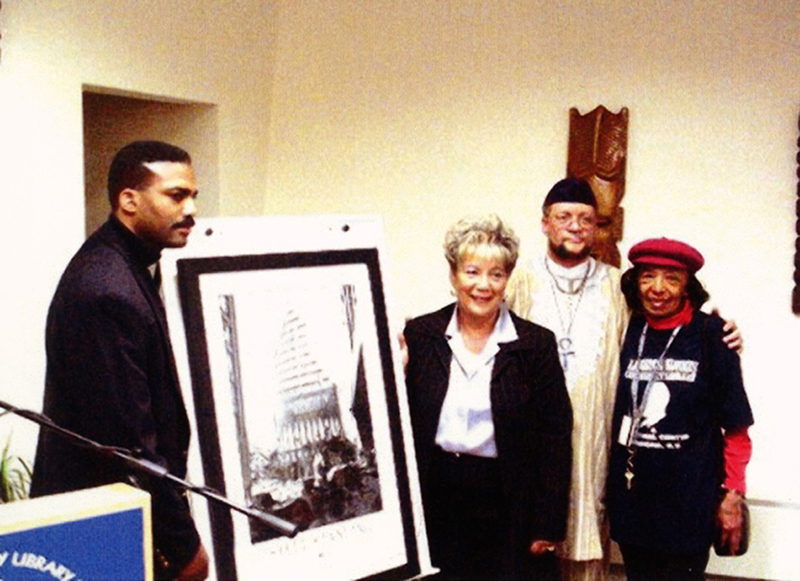 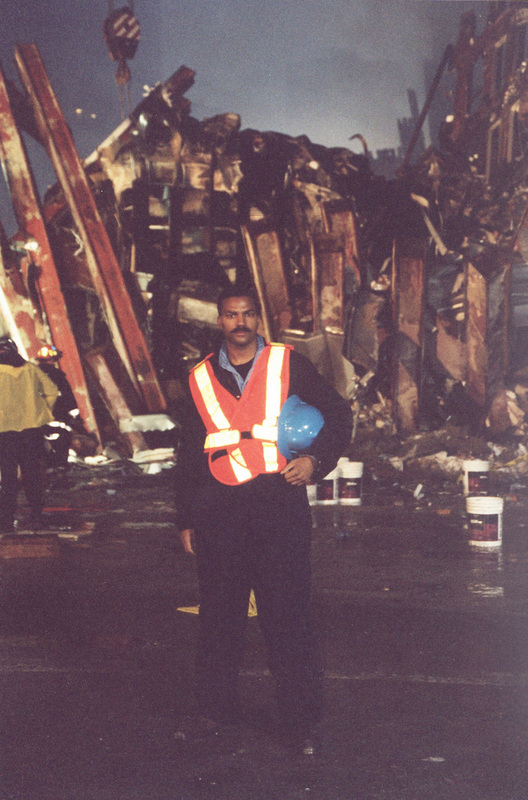 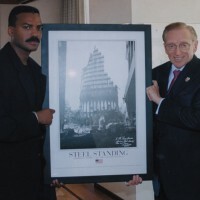 Steel Standing Memorial Foundation Founder and photographer of the Steel Standing photograph was invited to the Langston Hughes Library in Queens, February 2002 to make the presentation. 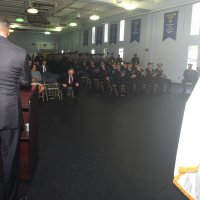 There were about 200 people in attendance, and she made the introduction for Mr.Whitaker to speak. 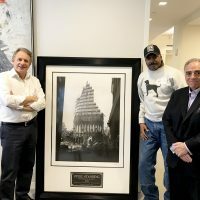 The Only 4 Wrap Around Amsterdam News Paper Covers in the Papers 107 Year History. 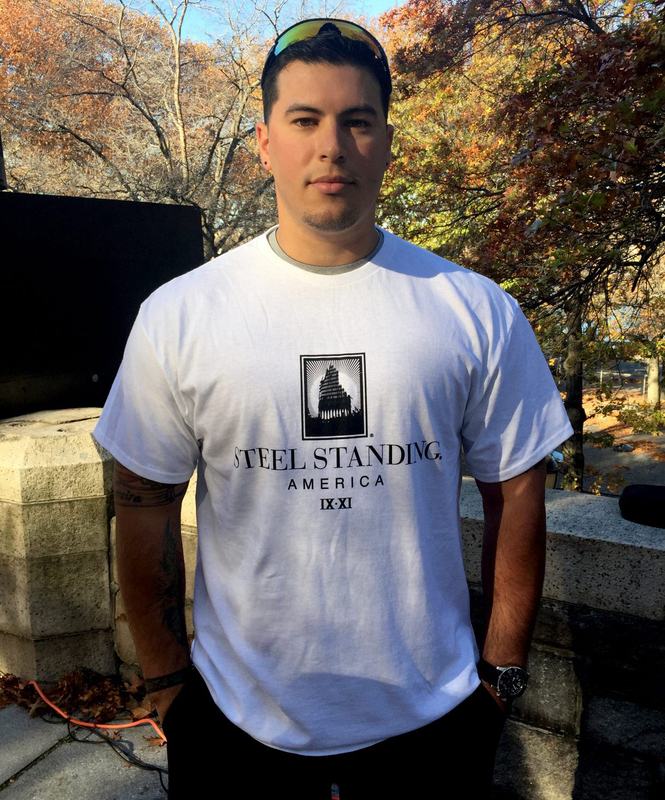 STEEL STANDING Was the 4th. 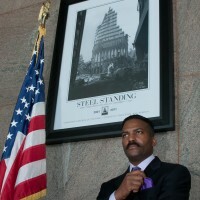 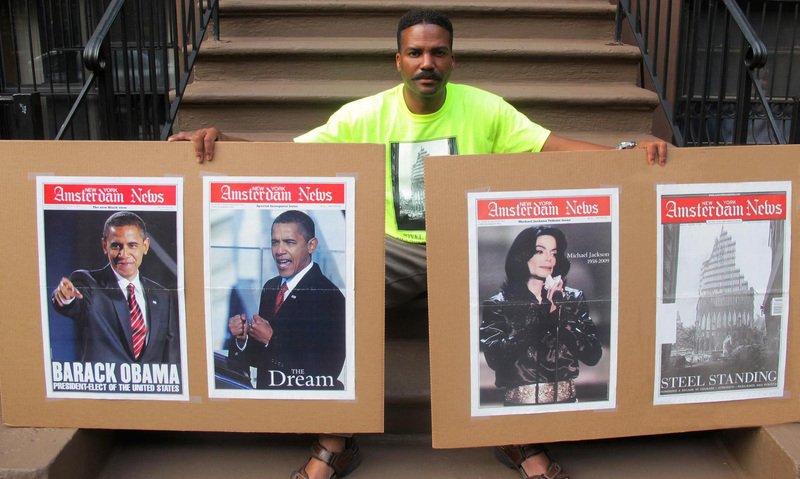 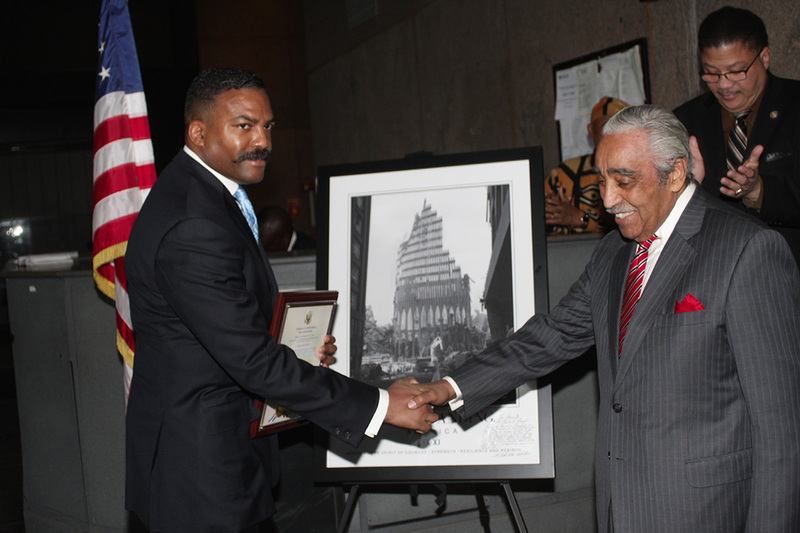 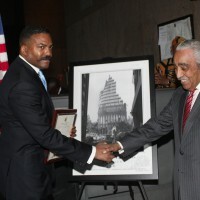 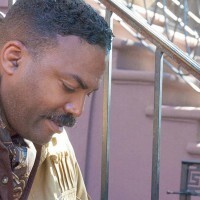 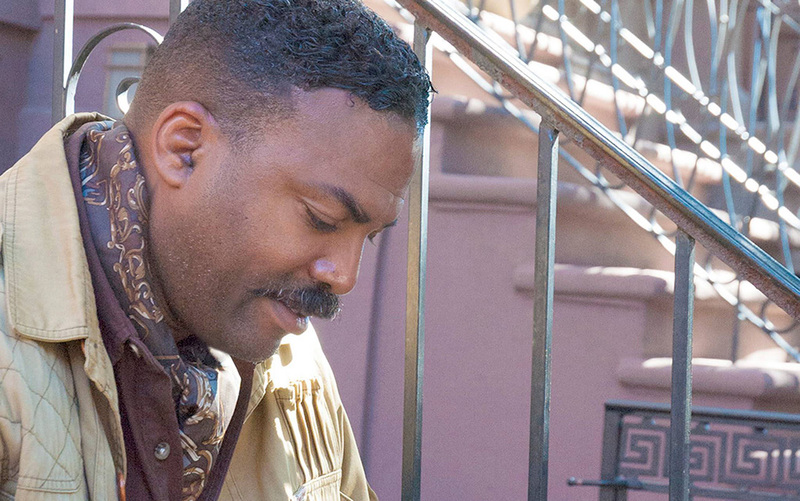 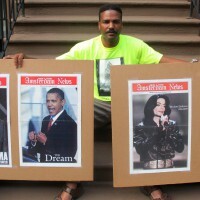 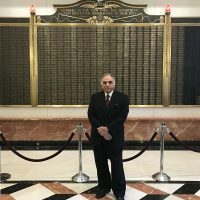 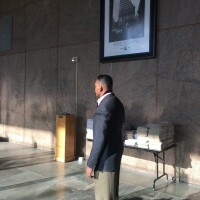 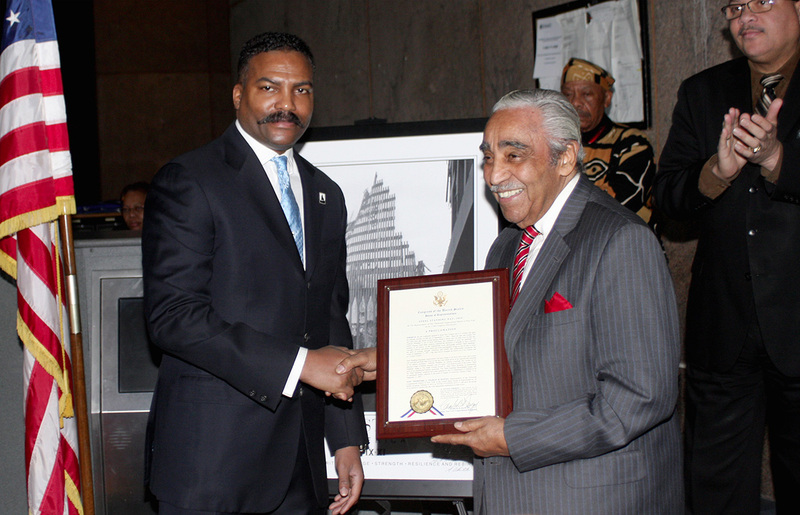 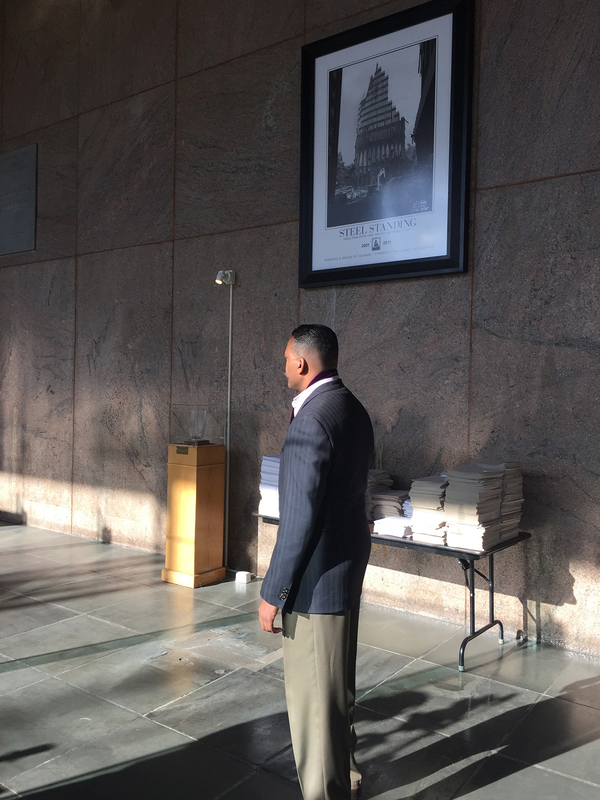 Anthony Whitaker standing within the Adam Clayton Powell Jr. State Office Building front lobby in Harlem, New York City. 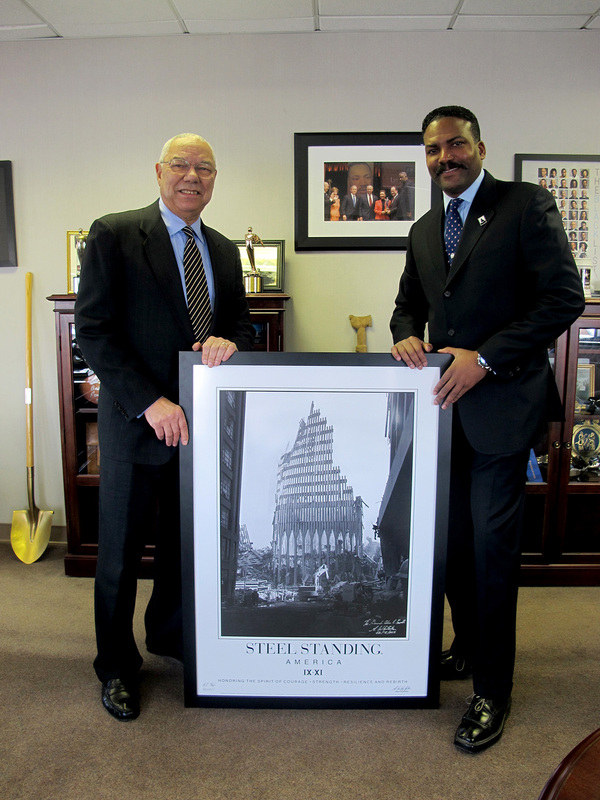 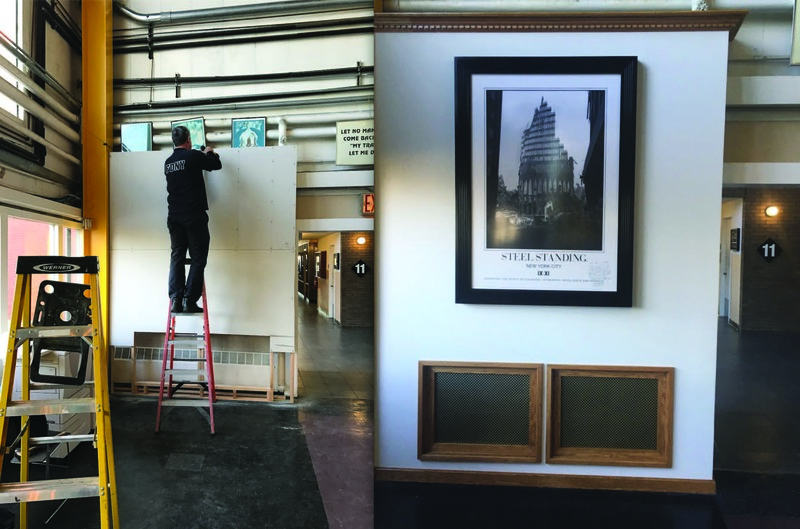 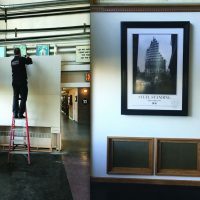 A permanent one-of-a kind 7 foot tall 10 year commemorative archival print of STEEL STANDING is on display.